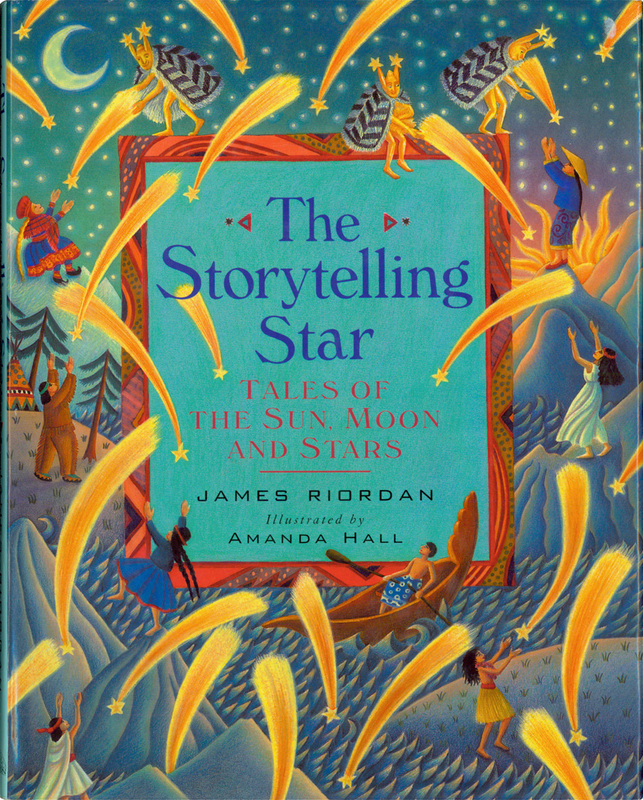 Amanda Hall is an award-winning illustrator, particularly renowned for her wonderfully decorative and colourful children’s book illustrations. 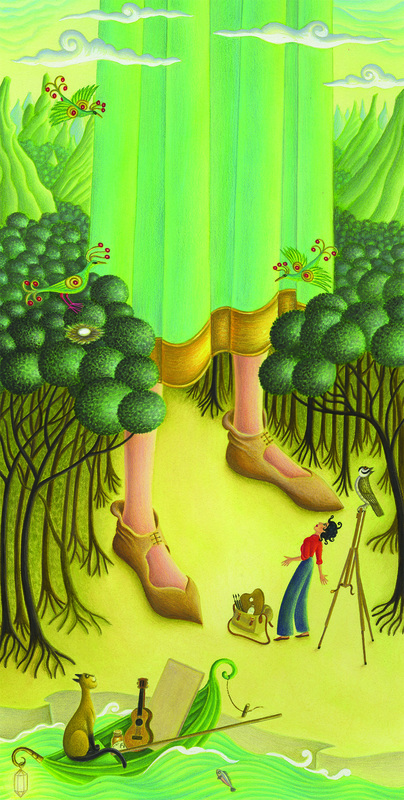 She is also highly regarded for her work in the educational and adult design markets both in Britain and America. 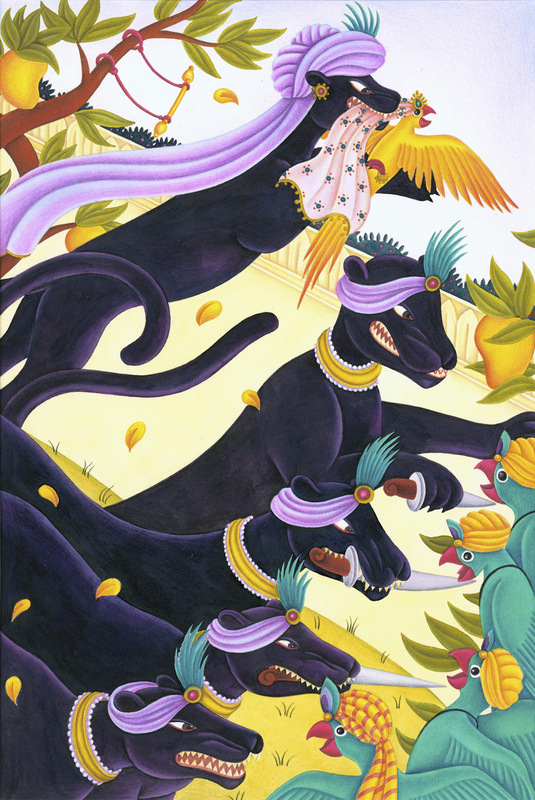 She excels at capturing the visual worlds of different cultures, their peoples, animals and landscapes as well as their spiritual traditions. 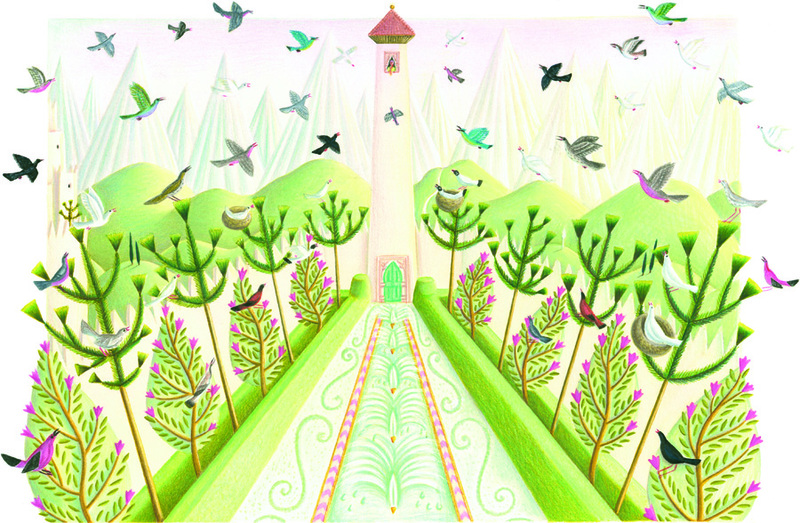 Amanda exhibits her original illustrations at Chris Beetles Gallery St James’s, London. 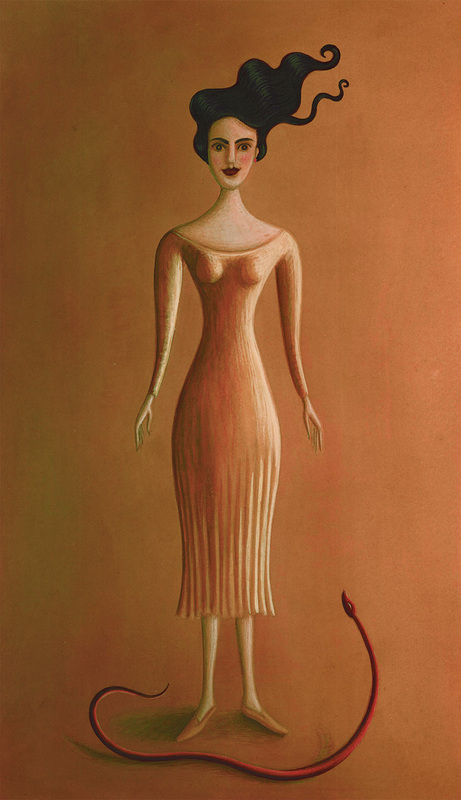 My illustrative starting point with Out of This World: The Surreal Art of Leonora Carrington was to submerge myself in Leonora, her images (which I was already familiar with), her writing and her world. I needed to find her as a visual presence. As she was born in 1917 and to wealthy parents, I found photos of her from most phases of her life. I was struck by the absolute determination in her expression – consistently there in all the photos I saw. I usually begin a book, and a specific illustration, by working in pencil in a sketch book. 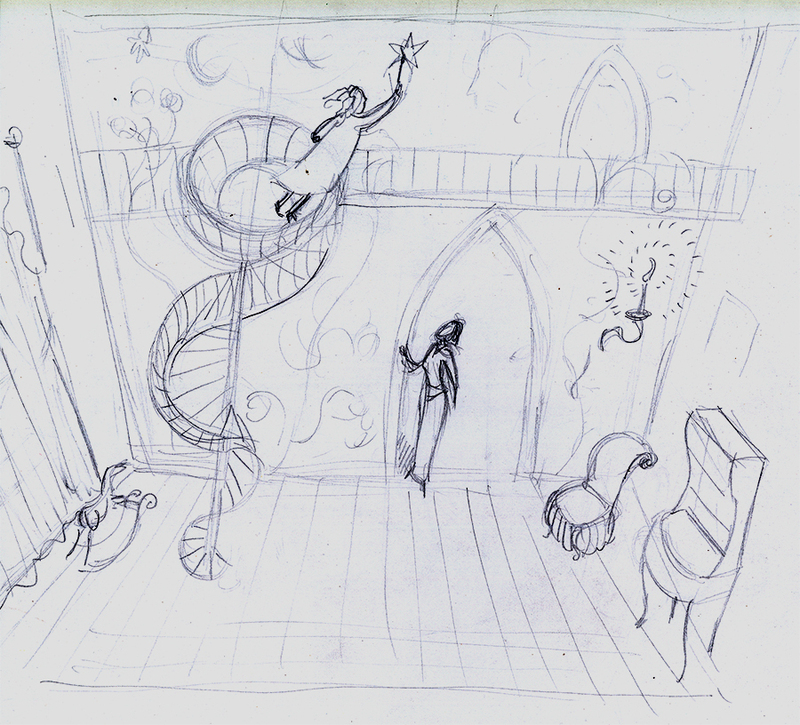 This first image shows some rough doodles, in search of Leonora, but not quite there yet. I felt I had arrived at a persona for Leonora that I was happy with in this little rough image. 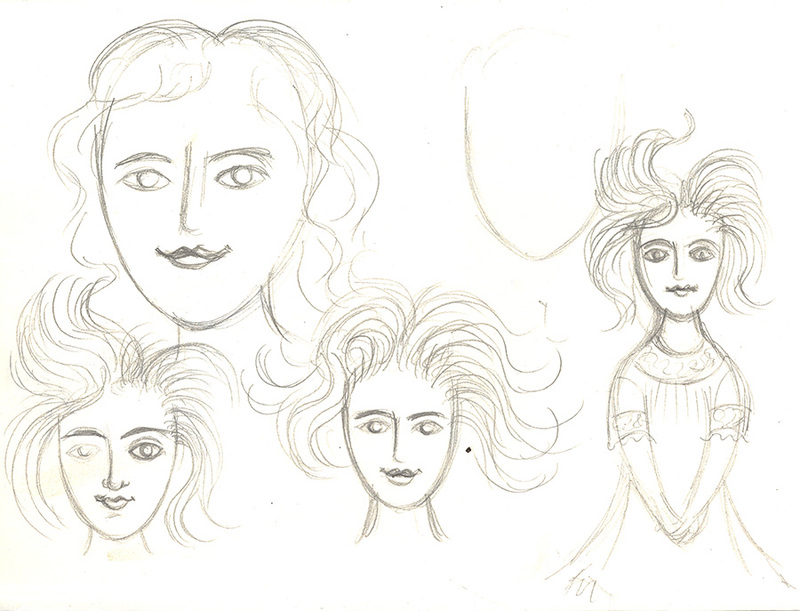 As I progressed, Leonora’s hair became an important feature. I developed and used her hair throughout the book to express her untameable, unique and unconventional personality. 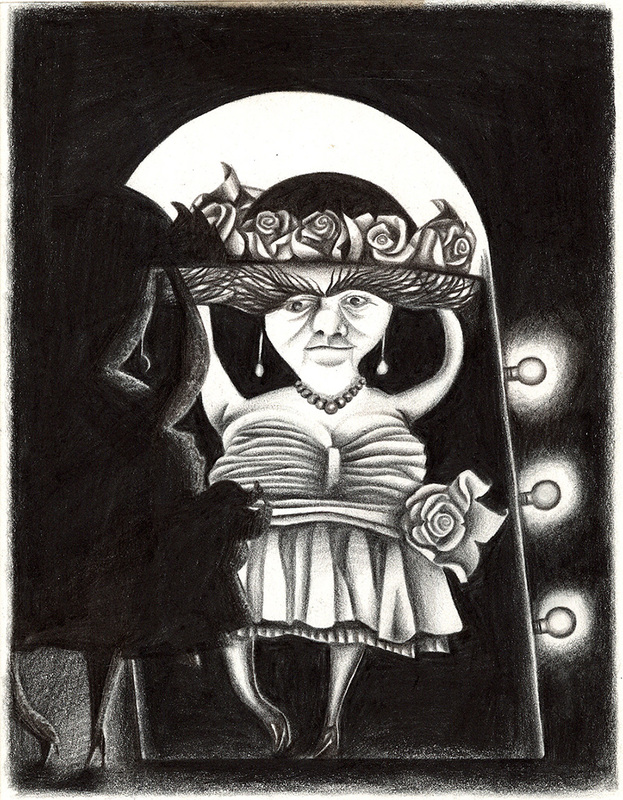 I scanned this pencil drawing, then used Brightness & Contrast in Photoshop to push the faint pencil lines to black. This gave the image, even at this early stage, more of a presence. This technique also makes it easier for a client to see what’s going on when I email over my rough ideas. I produced this image so that I could envisage how Leonora might look as an adult. I also wanted to try out colour washes, side lighting and my palette – I played around with the scan using Photoshop’s Hue & Saturation levels. I created this colour version of my rough above in pencil and acrylics. Using Photoshop, I designed a dummy cover for our submission package. This cover idea was simply a suggestion and I knew that most likely the cover would be very different, as was the case. 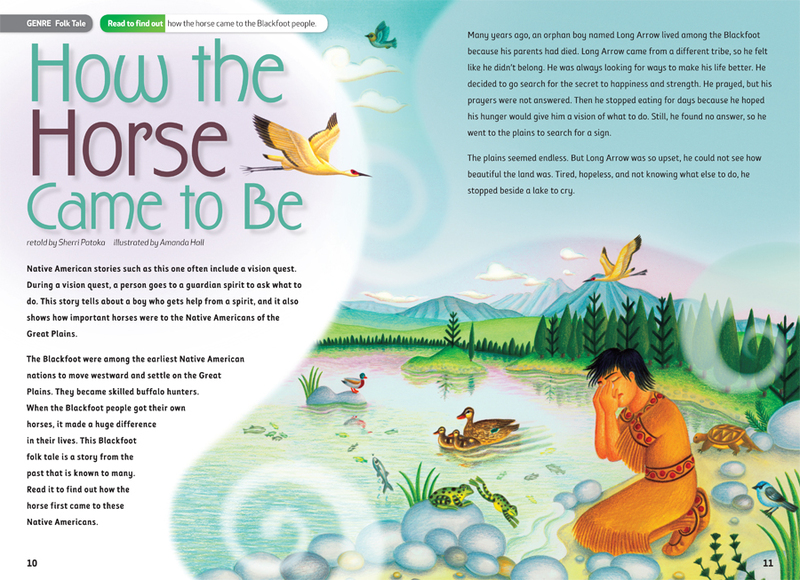 The following six images show the development of the first story spread in the book. I really grappled with this spread. As it was the beginning of the book, I was finding my way. I knew I wanted a sort of Alice in Wonderland feel. Leonora was English and brought up in a large house with nannies. I liked the idea of playing with her scale in the context of her bedroom, as though she lived in a doll’s house. This first idea didn’t work fully though, so I kept grappling. This (very quick) doodle started to give me the feel I wanted, I liked the relationship of Leonora with her mother looking on, bemused. However, I had lost the weird sense of scale that I was also after. 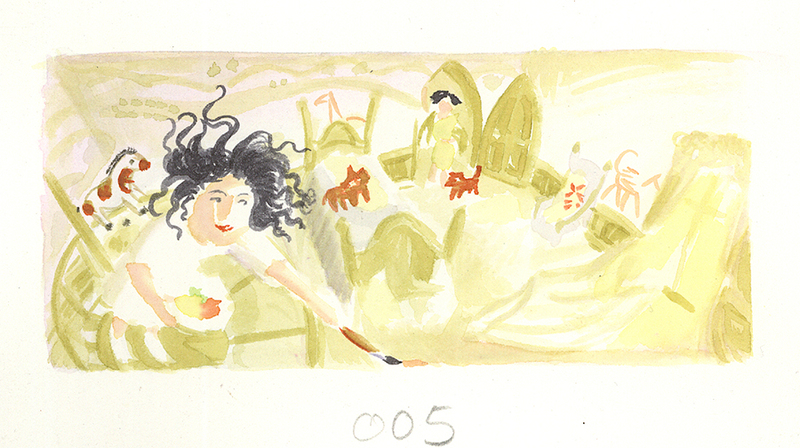 I then came up with this idea, young Leonora dominating the foreground – painting the wall in front of us. My original thought was to have the main image as a single spread and a vignette on the facing page. 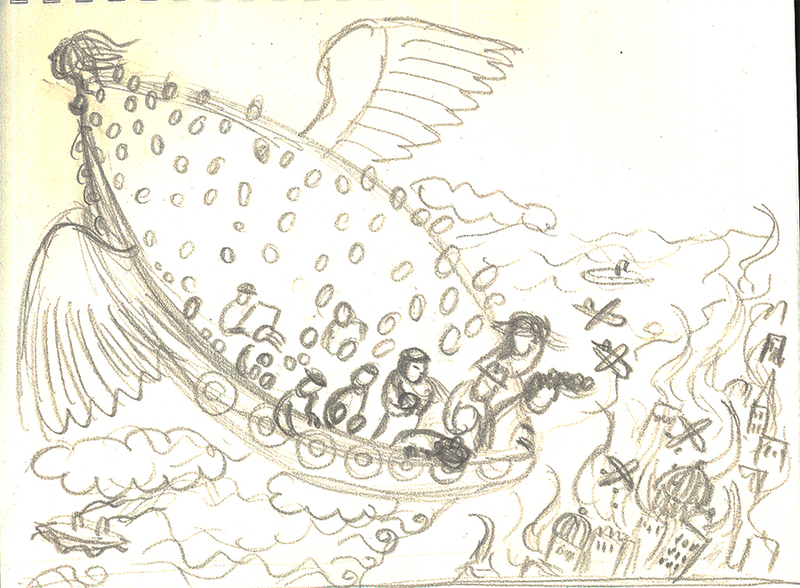 This version was from my first round of roughs which I sent to Balzer & Bray for their comments. They really liked the image, but they had the great idea of it filling the whole spread, with the text overlaid. These are my notes to myself after I’d rearranged the main elements of the previous image to extend it as they had suggested. This shows that very rough idea (above), worked up to become my final rough, with everything in place, including the position of the text. When I submit my final roughs, I have already decided where all the final lines will be. This obviously takes time, so I like to keep the lines pretty rough beforehand, until I know that the client is happy with where I’m going. Next, I start to try out initial colour washes. I reduce my final scanned and Photoshop darkened rough down to about an eighth of its original size, then I work on watercolour paper over the top of the reduced rough so that I can see the lines through the paper. I work very loosely to build up the image to a rough finish. 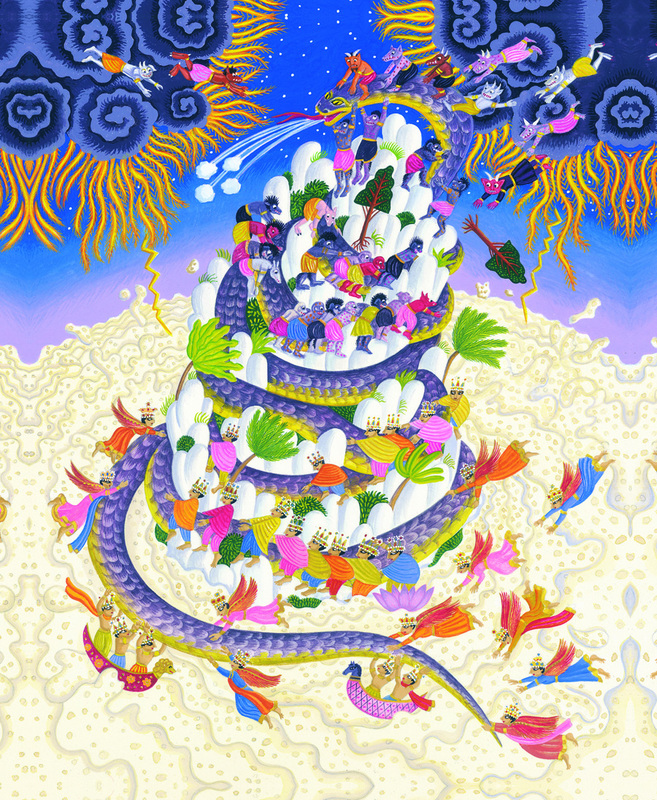 This is the final printed image. I work on a light box with my final rough positioned underneath my watercolour paper at full scale. 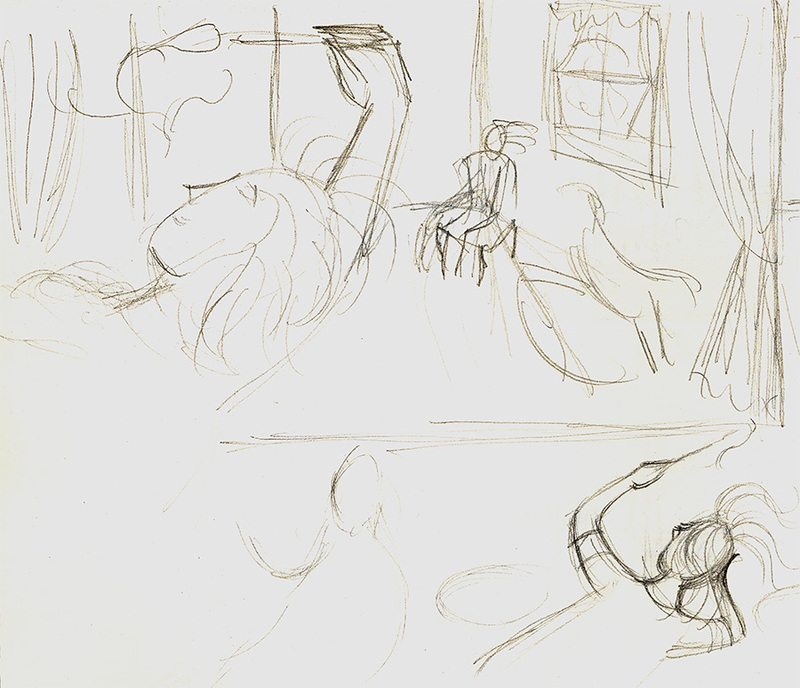 I then carefully redraw all the lines from the rough onto the paper, refining the image as I go. When the drawing is complete I stretch the paper onto a board where it is allowed to dry, before I begin building up washes of watercolour inks. Once that stage is complete and dry, I rub out my pencil lines and begin building up layers of coloured pencil and more opaque paints. This process can take a couple of weeks for an illustration like this. The idea for this next spread came to me almost complete – it’s great when that happens. 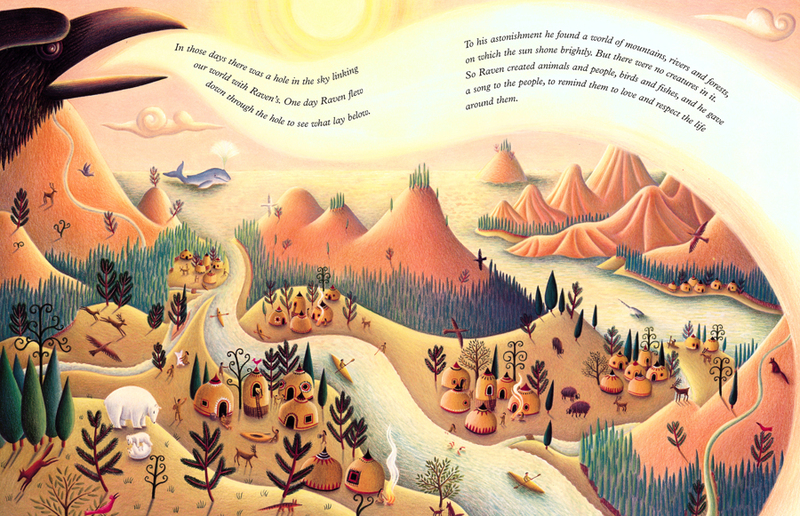 I knew I wanted this particular spread to be wordless, set up by the text on the previous page. The first rough shows my initial brain to hand sketch, always the most energised – when the idea first flows out through your pencil. I scanned that previous image, darkened it, then stretched its proportions horizontally so that it filled the spread, then I added a bit more detail. Initially, I had the boat facing from Europe to America going west across the Atlantic. 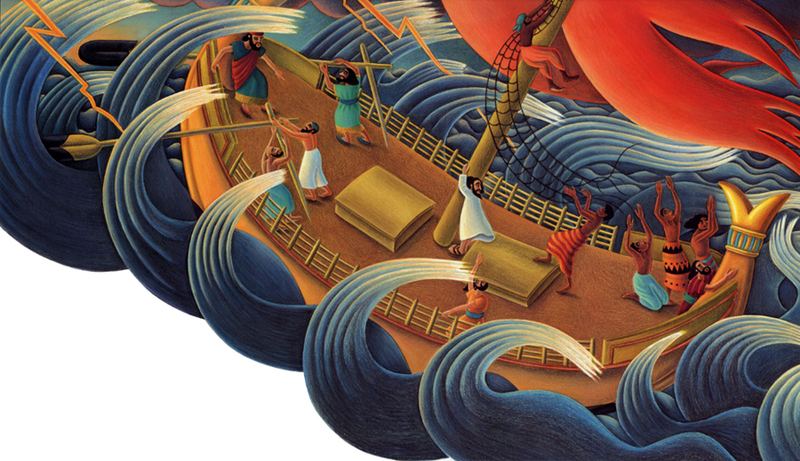 In this version, as Balzer & Bray wanted it the boat’s trajectory facing into the book left to right, so I just flipped it. I didn’t have a problem with that. I worked through many rough stages until arriving at this final rough. 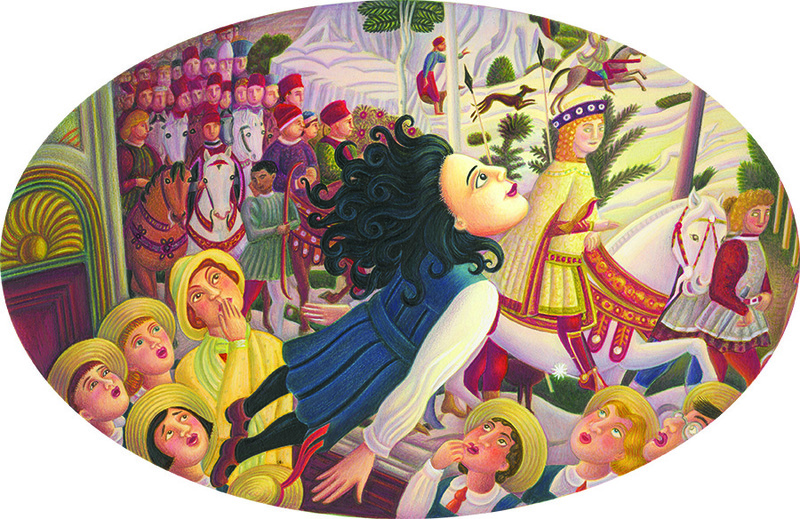 During that process I decided to give the boat a horse’s head, as the horse theme was one that I had woven into the book elsewhere, as a symbol for Leonora of freedom and autonomy. This is the stage to get a sense of how the colour and tones might work. Here’s the final printed image. I had to do quite a lot of research into British and German fighter planes. The scene is fictional – a city was somewhere in Europe, possibly in England. I based the boat on a British life-boat. There were a lot of refugee boat images in the media, particularly the year I painted this, so those images definitely found their way into my creative consciousness! I have drawn and made things from as far back as I can remember. I grew up in a creative household: my Dad taught at art school, he also painted and made things at home, so it felt natural to me to do that too. I was pretty experimental and not everything was a success, but I had images in my head that I was determined to create! 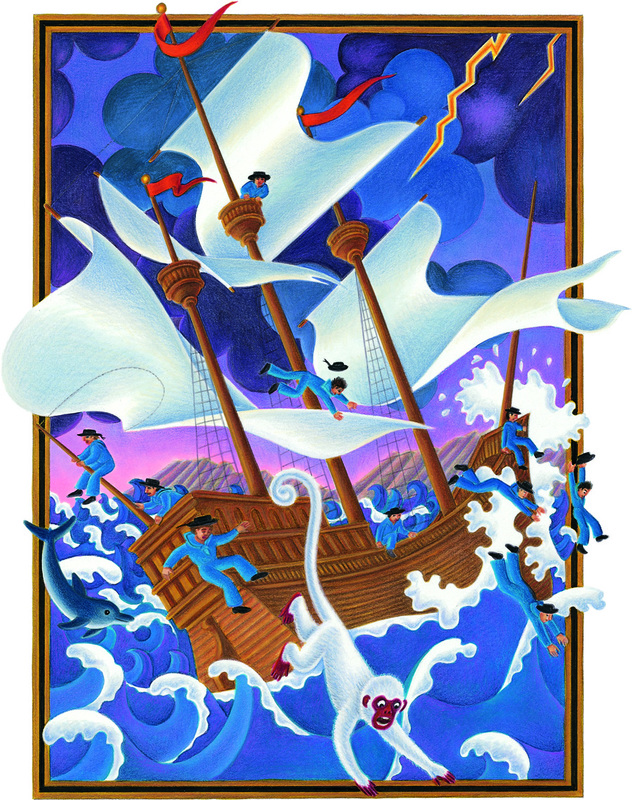 I wrote stories as a child, but mostly so I could illustrate them. 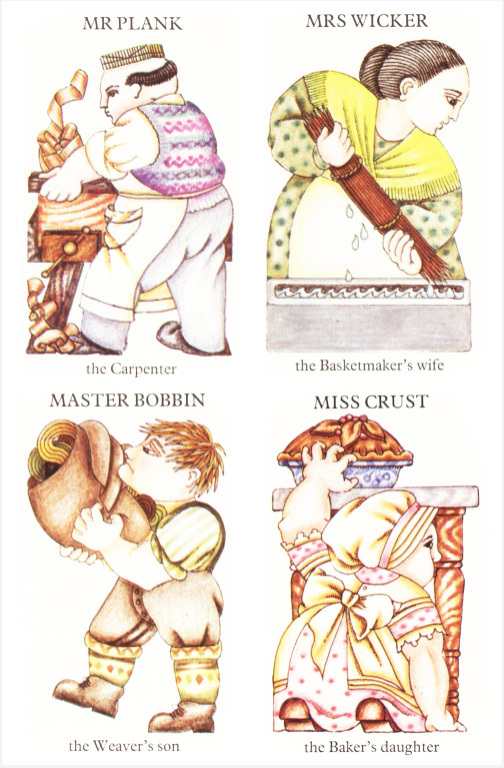 When I was a student at art school, we had a visit from Mike Graham-Cameron (Dinosaur Publications Ltd), who commissioned me to produce a set of forty-eight ‘Country Craftsmen Happy Families’ cards for The National Trust. They were published in 1978. That was my first proper free-lance job as an illustrator – I rushed out and bought a knitting machine with the proceeds. Basically yes. I have enjoyed travelling over the years and spent six months in Zimbabwe in the mid-1980s. 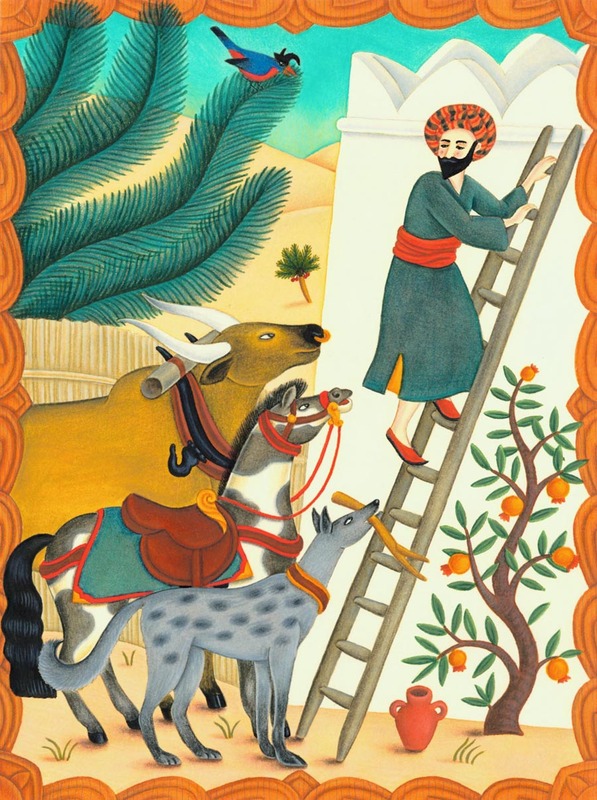 I attended the Cambridge School of Art where I completed my Foundation course, then the three-year Diploma in Graphic Art before moving to London to start my illustration career in earnest. Apart from the introduction to Dinosaur Publications that I mentioned, not really. We had some talented and inspiring tutors — Glynn Boyd-Harte had a particularly powerful impact on me — but no, the college didn’t do a lot to prepare us for the challenges of running our own businesses. Once we left college we had to rely on our own initiative, which is what I’ve always done. I still think that was pretty tough. 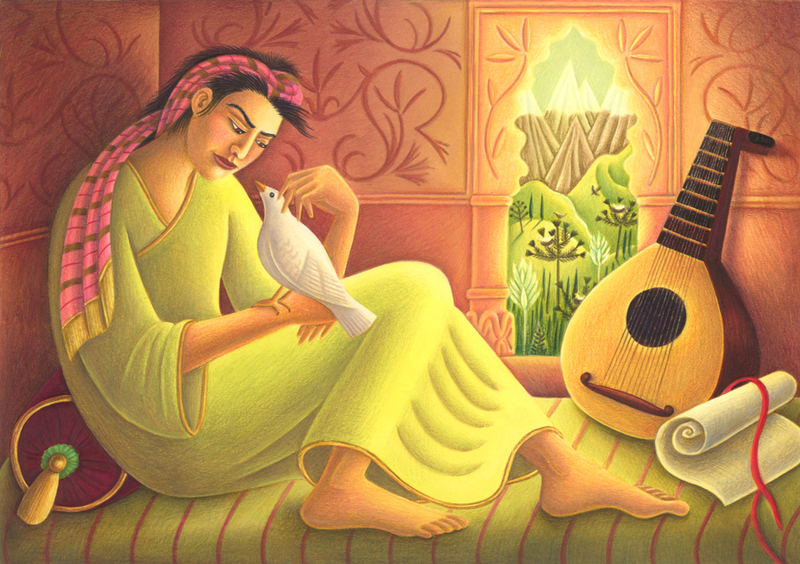 What do you feel influenced your illustrating style? I can see now that my work has got several strands. 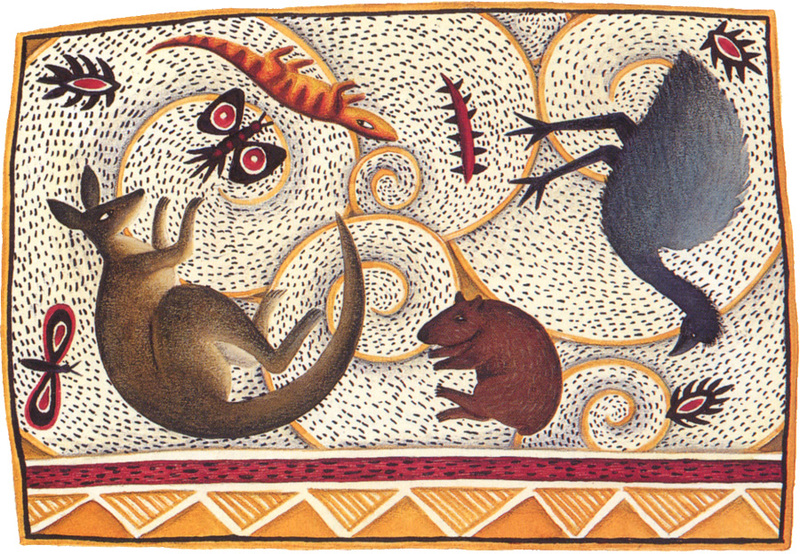 One is folk art, and that stems from the paintings of artists like Pieter Bruegel and my love of old traditional structures and decoration in the UK and elsewhere (I grew up in a 16th century thatched cottage). Another influence is the darker quality of early versions of fairy tales, but it is also in the work of painters like Otto Dix and other artists from the Weimar Republic. 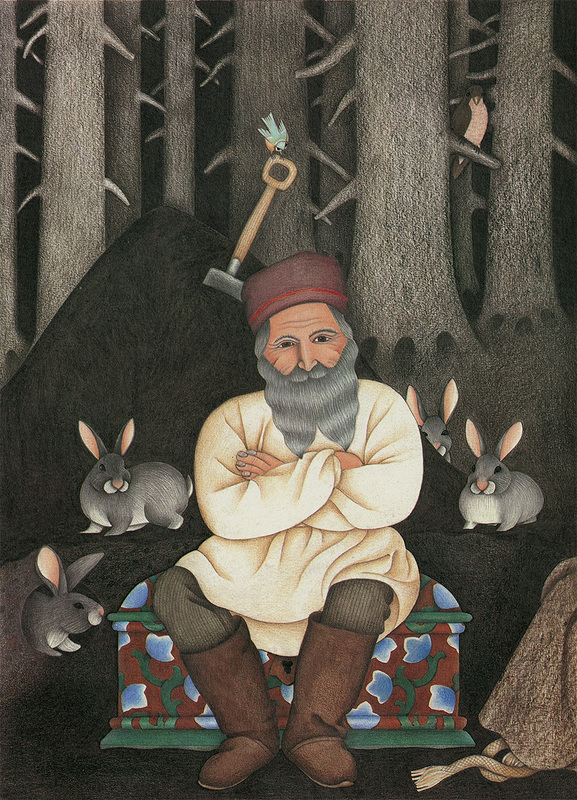 At college I was introduced to the wonderful, darkly humorous illustrations of Edward Gorey, and I also encountered Maurice Sendak’s mysterious black and white illustrations from The Juniper Tree and Other Tales from Grimm for the first time. 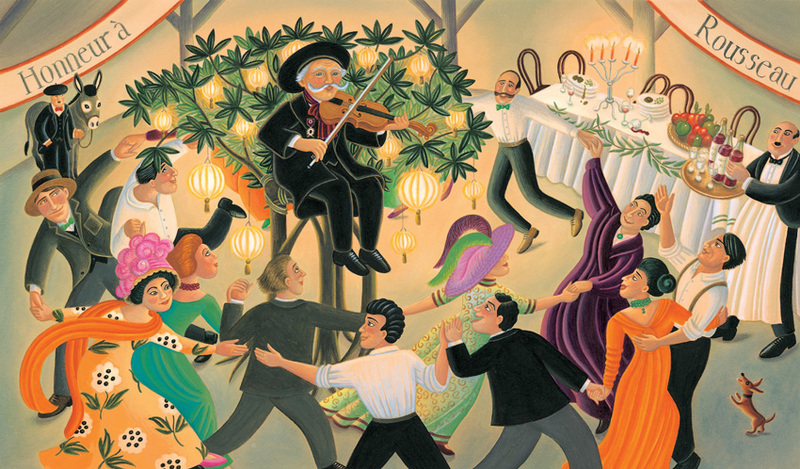 In addition, there are the strange and dream-like, intangible worlds described by artists such as Stanley Spencer and of course one of my greatest loves – Henri Rousseau. Capturing a hint of this quality is always a thrill! I think all these strands have found expression in my subsequent, published illustration work. 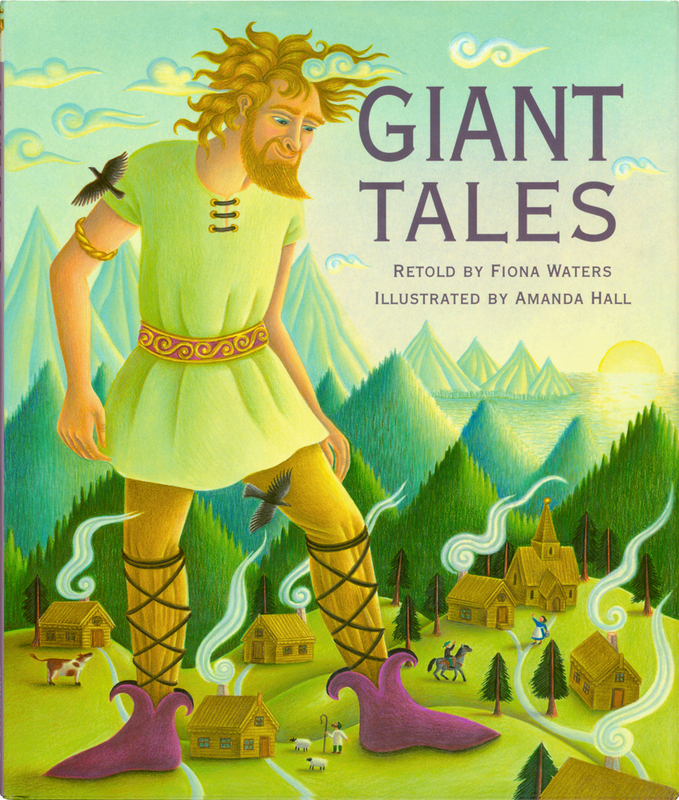 What type of illustrating were you doing before you illustrated your first book? While I was at art school my illustrations were often quite dark. When I left college, however, and started getting commissions, I realized that publishers didn’t necessarily want the type of imagery that you could explore at art school. 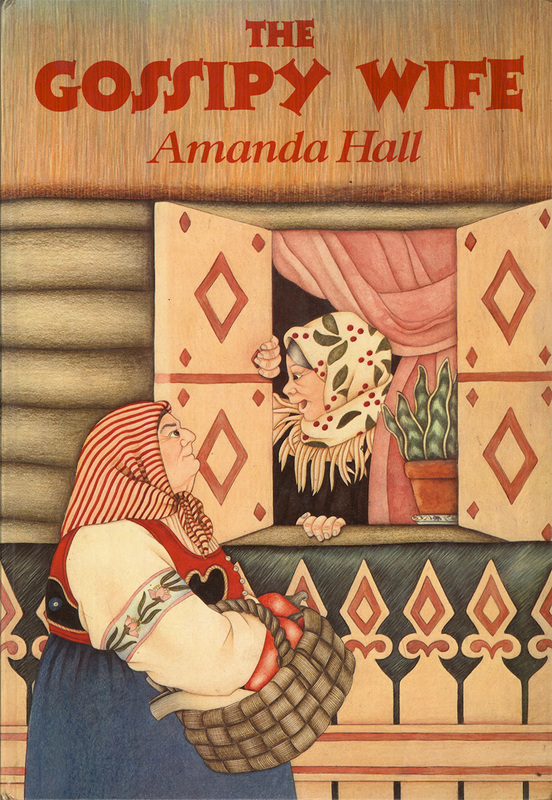 It was not always an easy transition to make, but I needed to re-orientate myself towards my folk roots and did that with my first full-colour picture book – The Gossipy Wife (Blackie & Son Ltd.), which I based on a Russian folk tale. 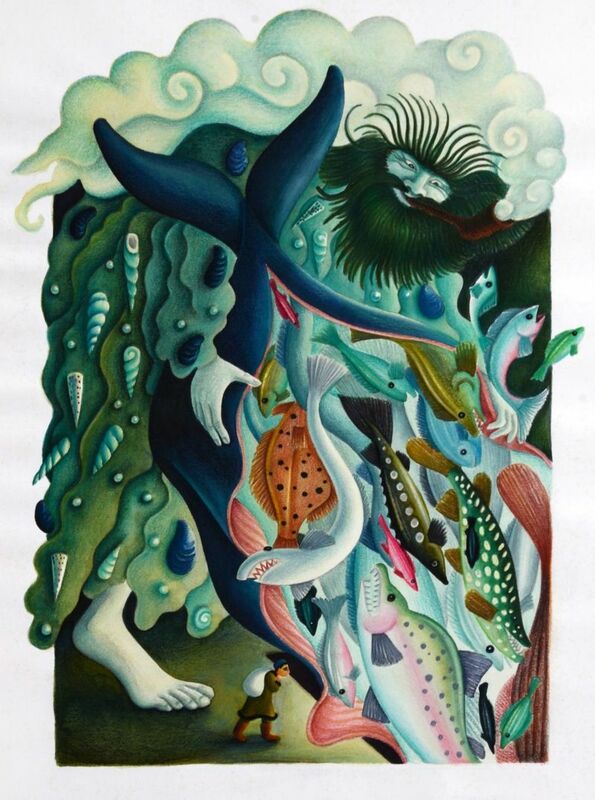 Some of my other tastes, though, have found a home in my images for Out of This World, to reflect the dark but whimsical aesthetic of artist Leonora Carrington. 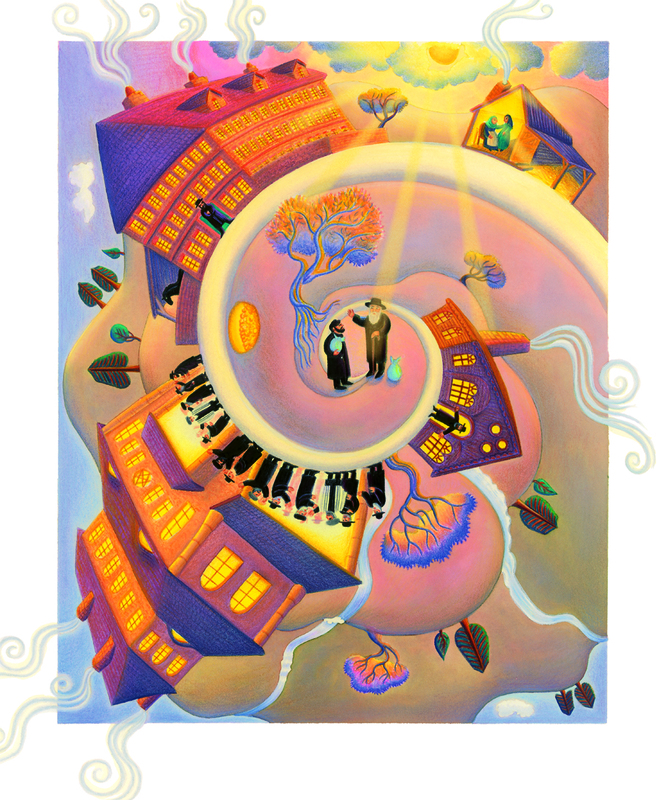 Did you ever have an artist rep.? Would you be willing to consider representation? I have been represented by a number of fantastic literary and illustration agents over the years, both in this country and in the US. 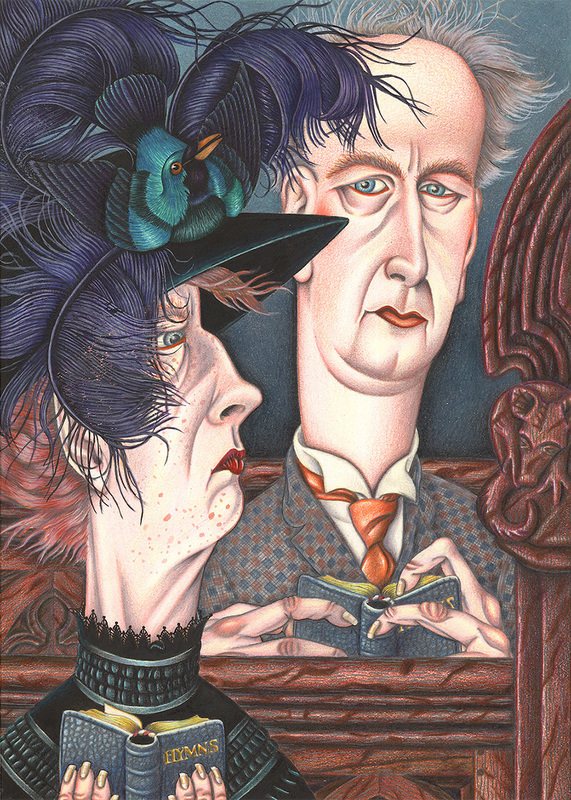 In 2002 I joined Shannon Associates in New York via PFD in the UK where I was represented by Rosemary Canter – Rosemary extended her scope into the US by entering into a relationship with Shannon, which gave her writers and illustrators a route into the US market. This was tremendous, but after several years I decided to represent myself instead, first in the UK and then in the US, as I wanted the latitude to explore publishing markets directly. 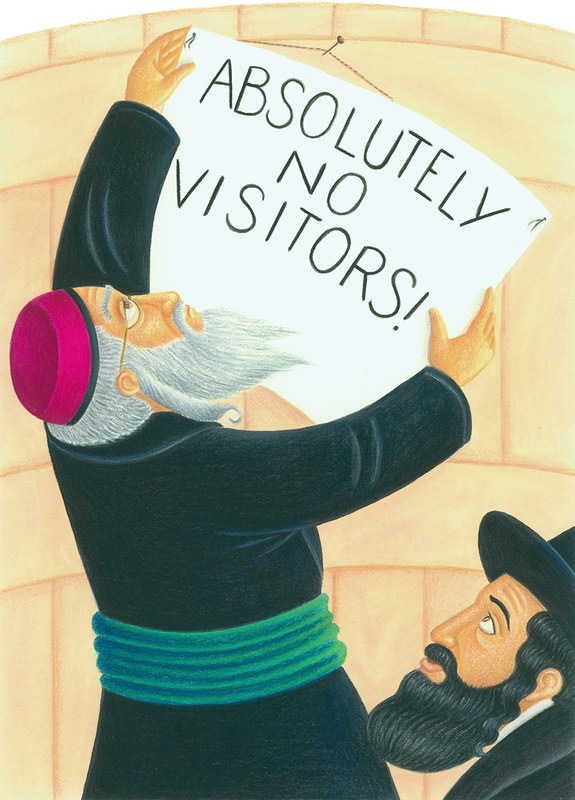 However, I now enjoy a looser relationship with the wonderful US literary agent Anna Olswanger. 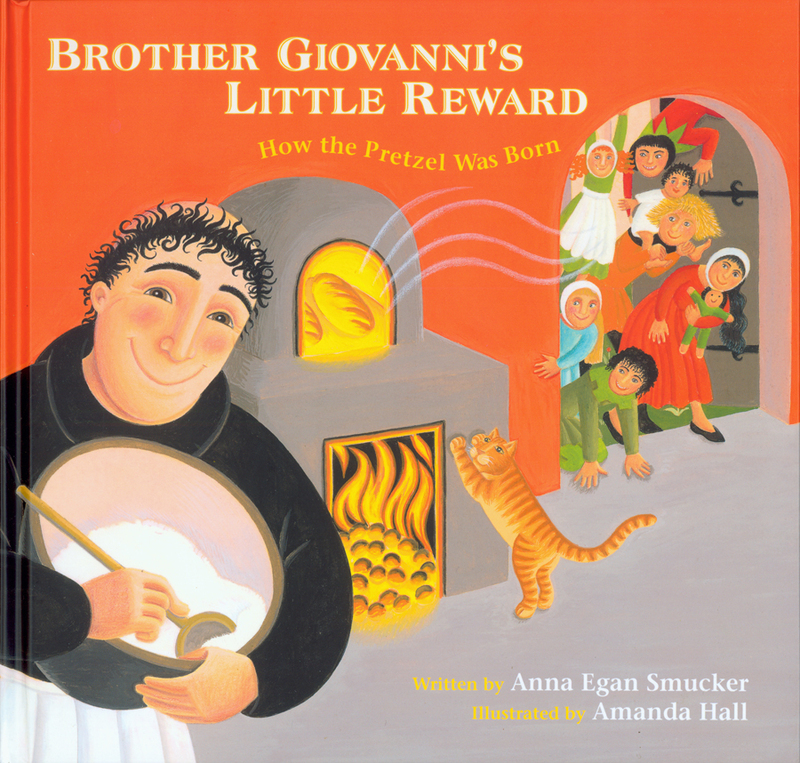 Anna has been helping me both with submitting my work to publishers and with re-licensing my illustrations. I am aware that I need her expertise on those areas where, in rowing my own boat I am a paddle short – and maybe going around in a small circle. 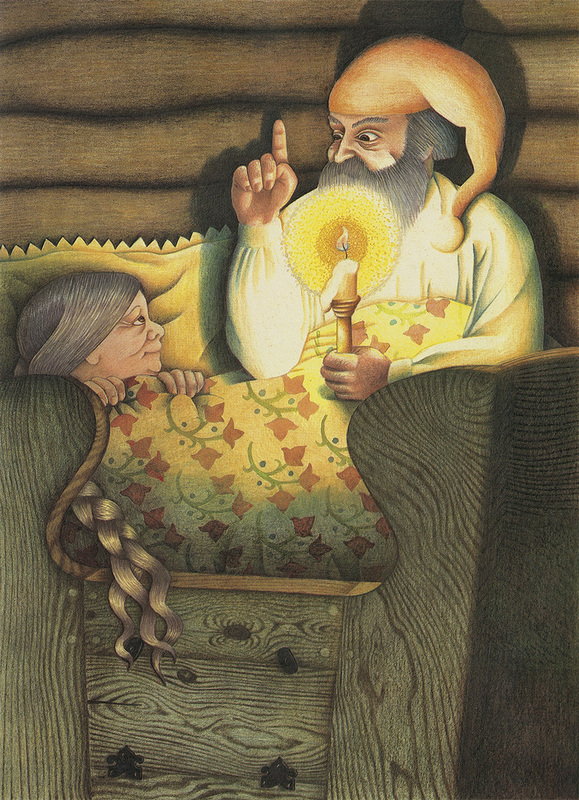 Was Babushka your first major picture book? 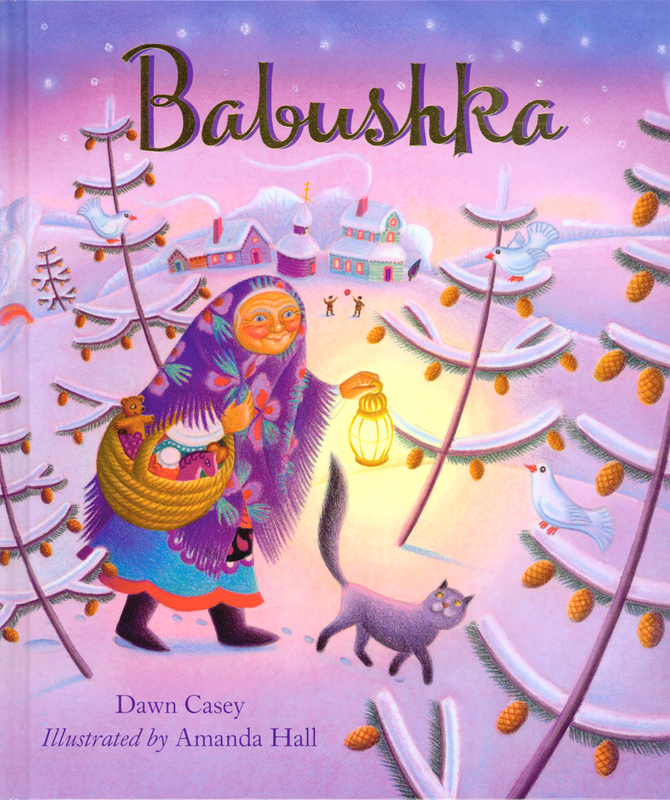 No, Babushka was my fifteenth picture book. 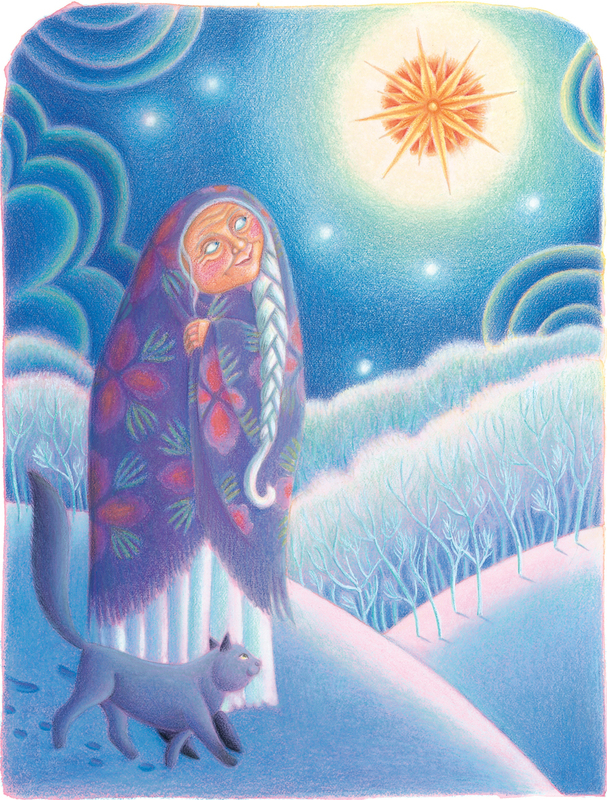 My first – and a book I began at college – was Old Mother Hubbard & Her Dog, for Aurum Press published in 1980. I have been at this for a while! How did get that contract? 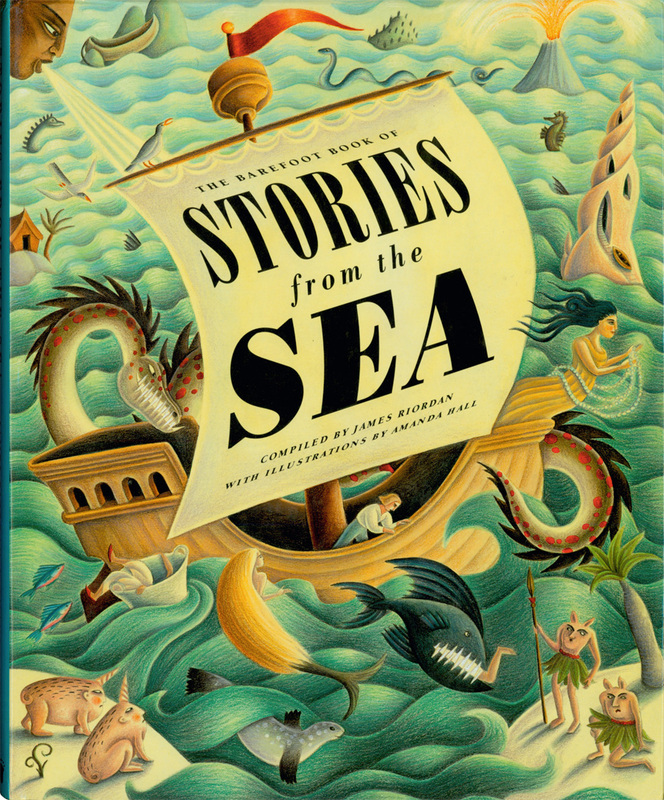 I’d like to say a little about author/ illustrator collaborations here. 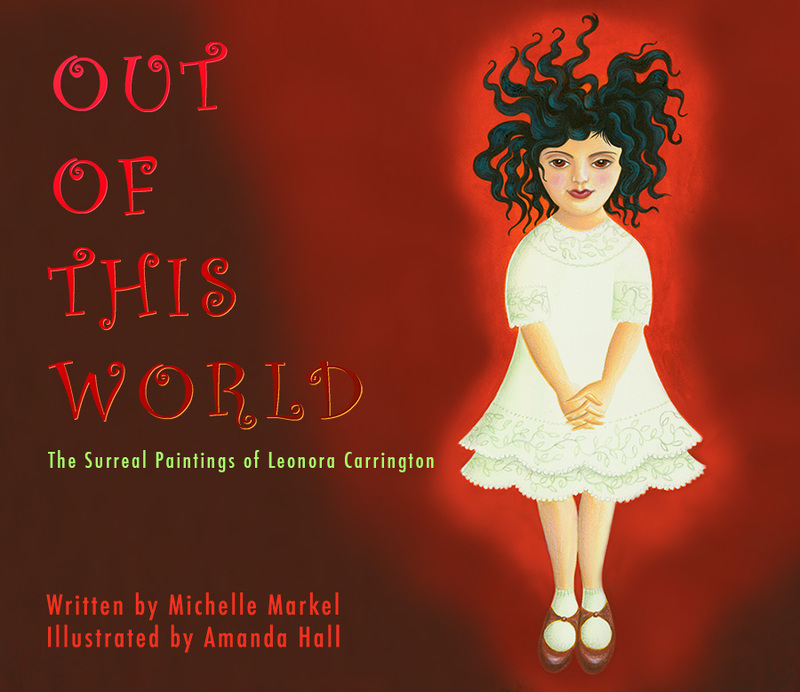 Over the last ten years, I have had the great pleasure of working in close collaboration with a number of children’s authors that have resulted in publications: Michelle Markel on Out of This World: The Surreal Art of Leonora Carrington, Jamila Gavin on Tales from India and Dawn Casey on Babushka. 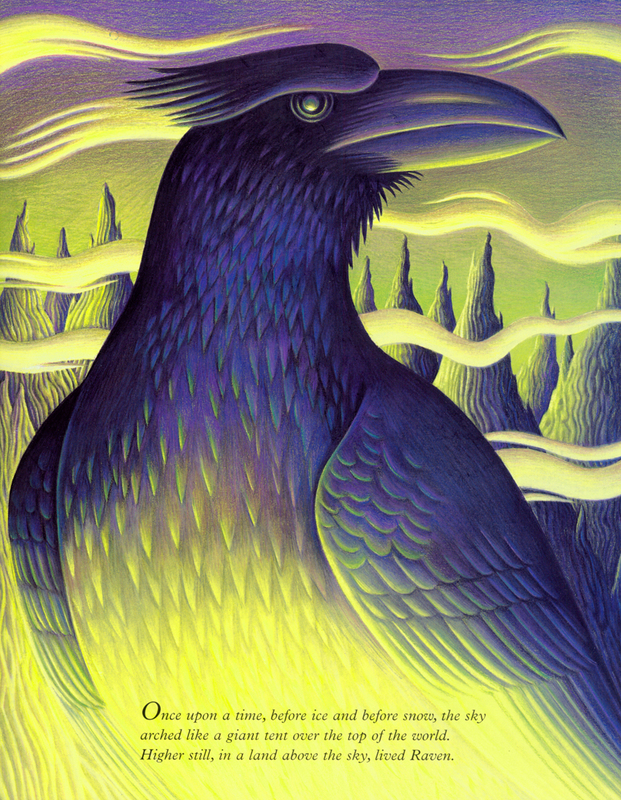 I believe that these collaborations have grown out of a creative sympathy between their writing and my images, in the context of the particular books we’ve been engaged in and in distinct ways with each book because of their unique writing styles. 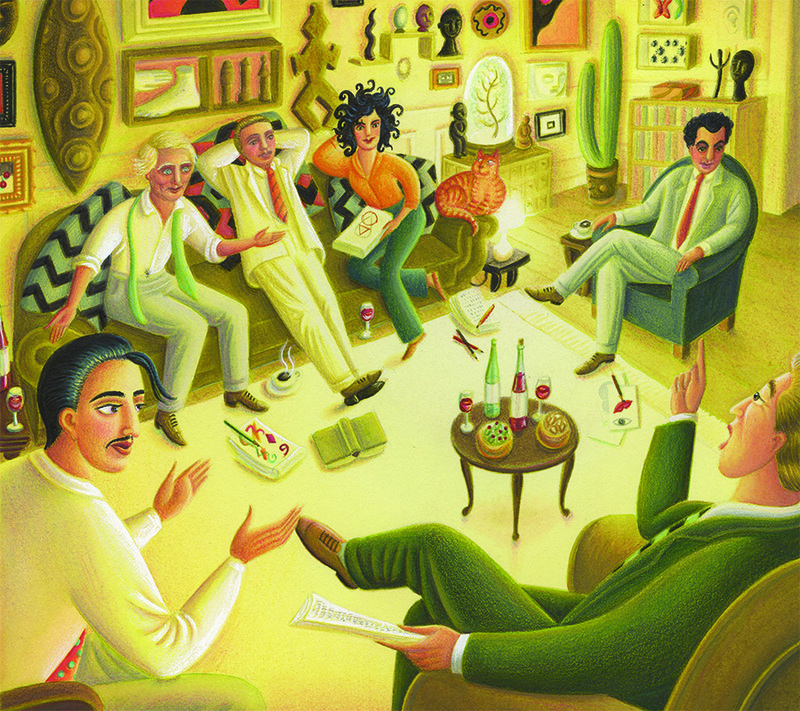 These collaborations have come about privately, where both author and illustrator have been proactive in a creative dialogue, resulting in a submission offered to selective publishers, often with the help of the author’s agent. 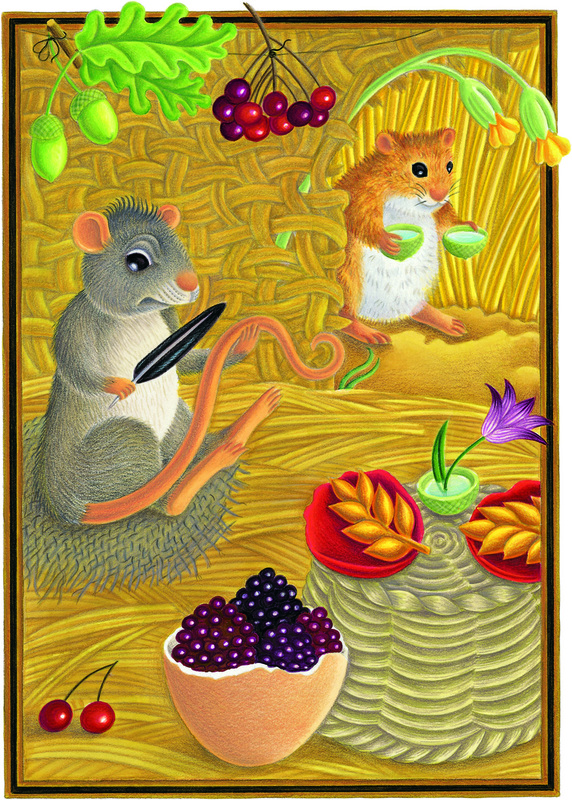 Dawn Casey (a UK author) and I had both worked on publications for Barefoot Books, but not together https://store.barefootbooks.com/uk/the-barefoot-book-of-earth-tales-4241.html. We came into contact and met up a number of years ago. 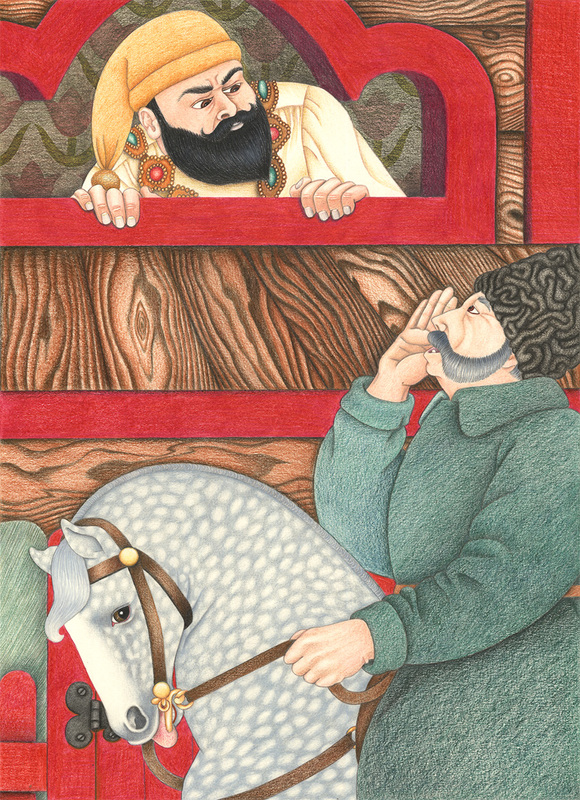 We submitted our package for Babushka to Lion Hudson, for whom I had illustrated six books already. 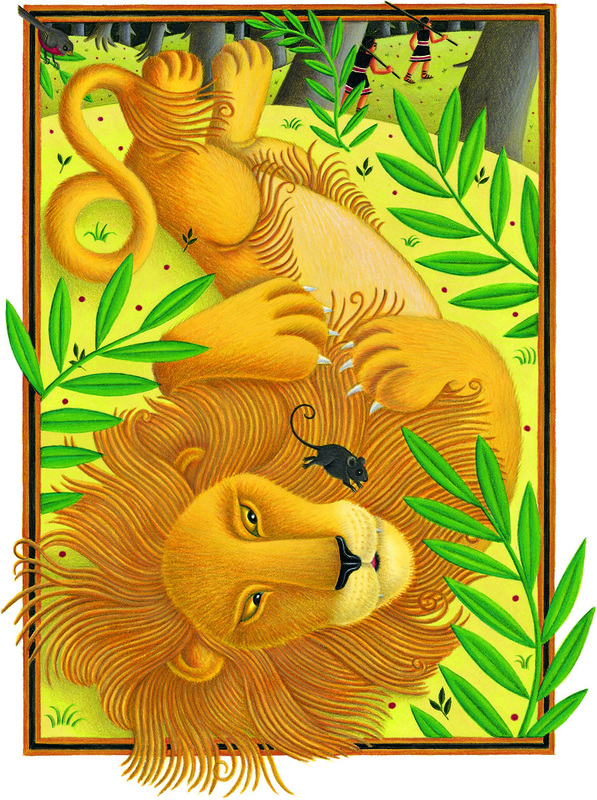 Dawn was new to Lion Hudson, but they loved her writing (as did I) – it is so full of warmth, tenderness and poignancy. Dawn and I are currently embarked on our second book together. 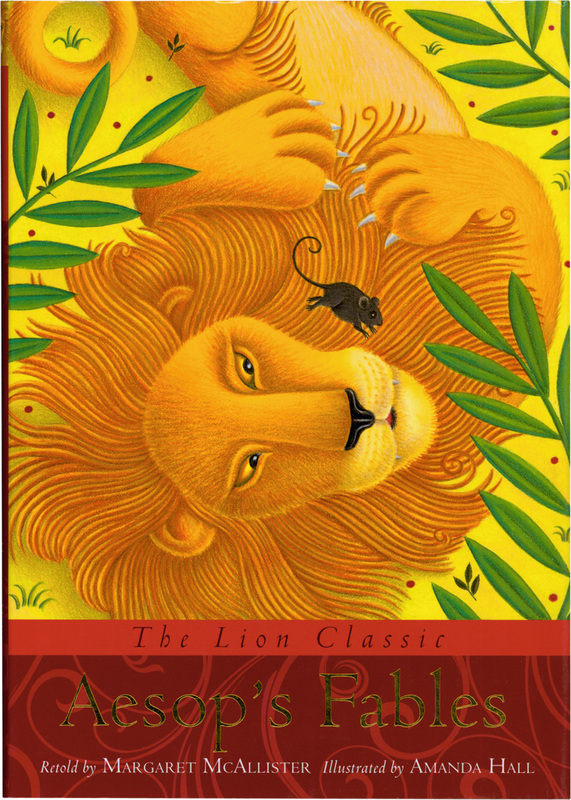 Was The Fantastic Jungles of Henri Rousseau by Michelle Markel, published by Eerdmans Books for Young Readers your first book in the US market? 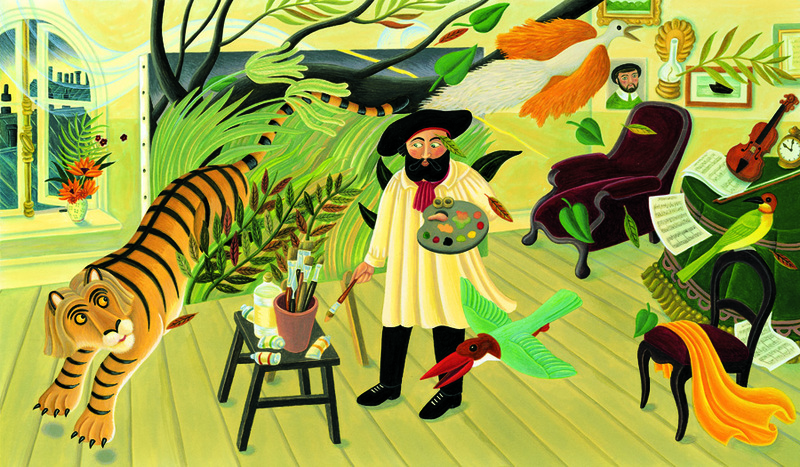 I had already been illustrating for a number of years for the US market before-hand, but yes, The Fantastic Jungles of Henri Rousseau was my first trade picture book for the US. 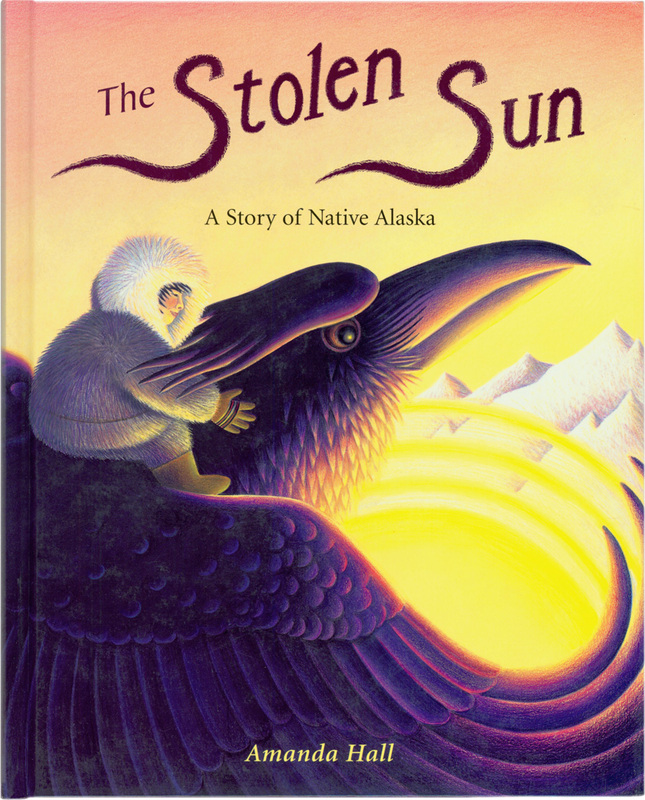 I had had several US co-editions of my UK books published in the States by that time: my book for Frances Lincoln The Stolen Sun was published by Eerdmans, so they already knew my work. 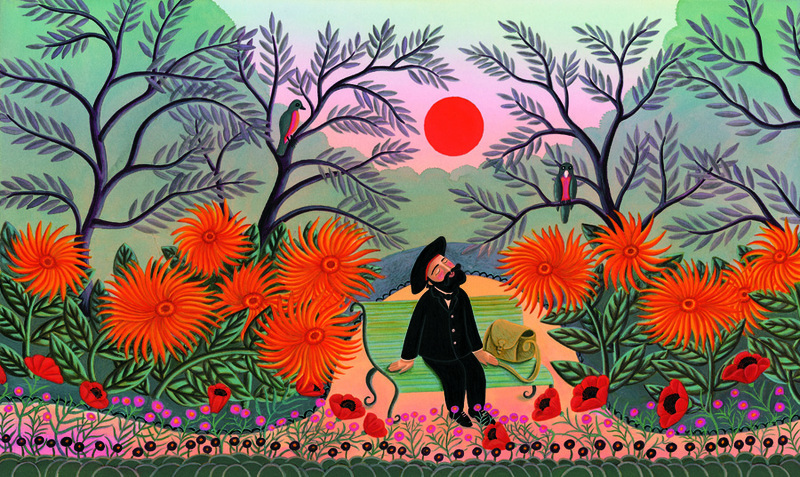 I then met up with Gayle Brown the Art Director on their stand at The Bologna Book Fair in 2008 and the offer to illustrate Michelle’s wonderful text for The Fantastic Jungles of Henri Rousseau was made to me not too long afterwards. Michelle’s spare, affecting writing and the subject matter were a complete gift, and I was highly motivated. 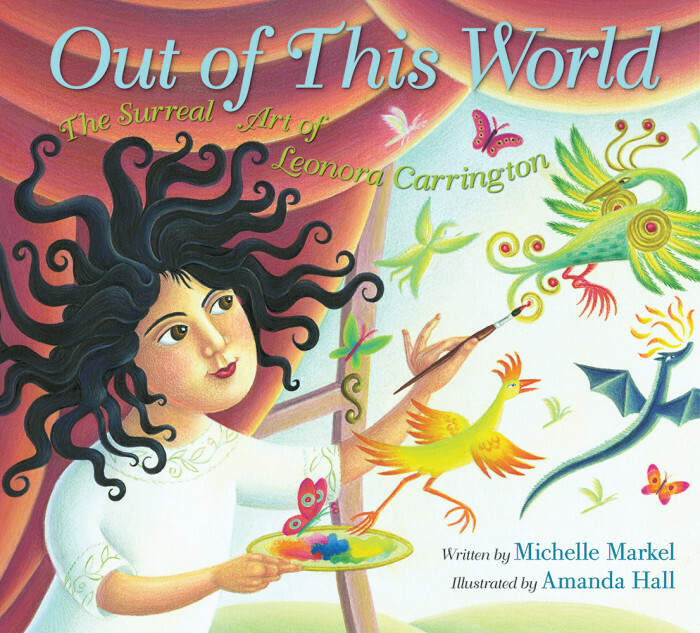 Your latest book Out of This World: The Surreal Art of Leonora Carrington by Michelle Markel and published by Balzer & Bray / Harper Collins has gotten really good reviews. 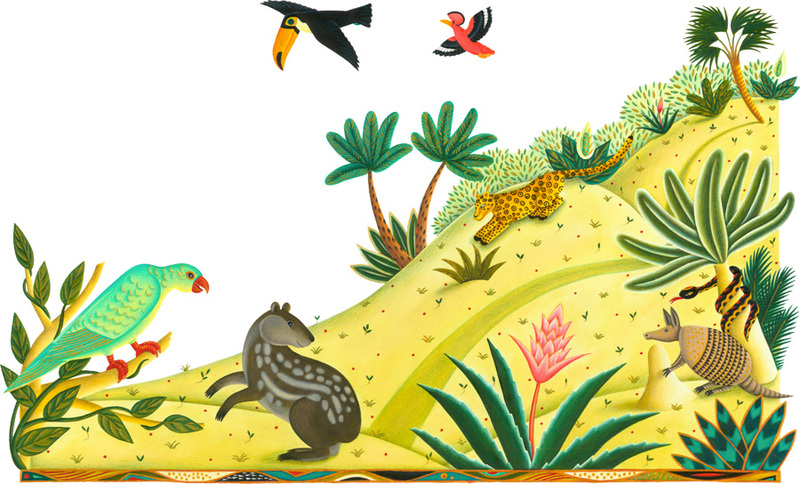 Did they see The Fantastic Jungles of Henri Rousseau and decide that they had to get you to illustrate Out of This World? ‘From my point of view, we didn’t step on each other’s toes. I trusted that you’d do a marvelous job and you proved me right. When you had a question, you asked and I answered. We each had the freedom to tell the story as we wished’. For my part I responded to Michelle’s text with a storyboard that came increasingly into focus. 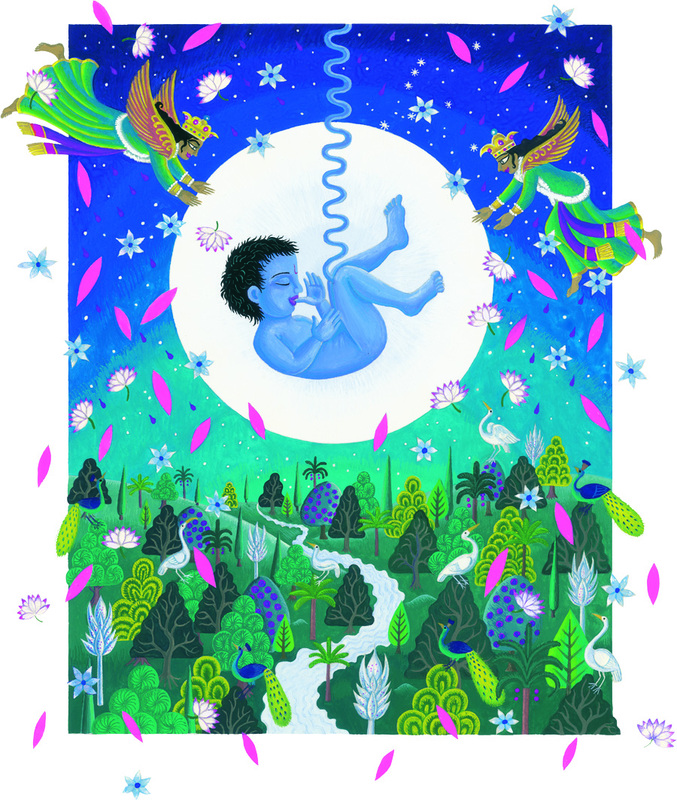 Through the long creative process, I roughed out the whole picture book and created two pieces of final artwork. 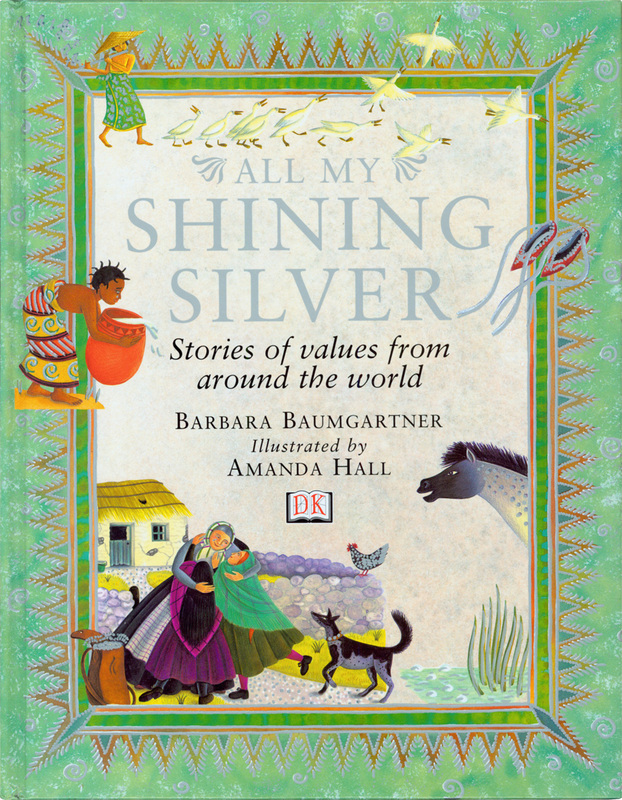 We submitted this package to a number of US publishers, with Anna Olswanger’s magic, until we struck a deal with Balzer & Bray/ Harper Collins. 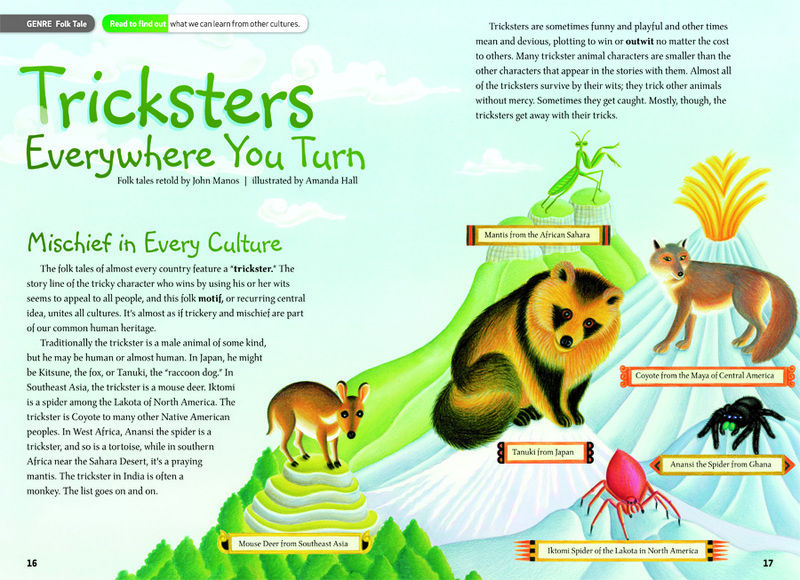 Balzer & Bray, of course, had ideas for how they wanted me to evolve some of my original submitted spreads. 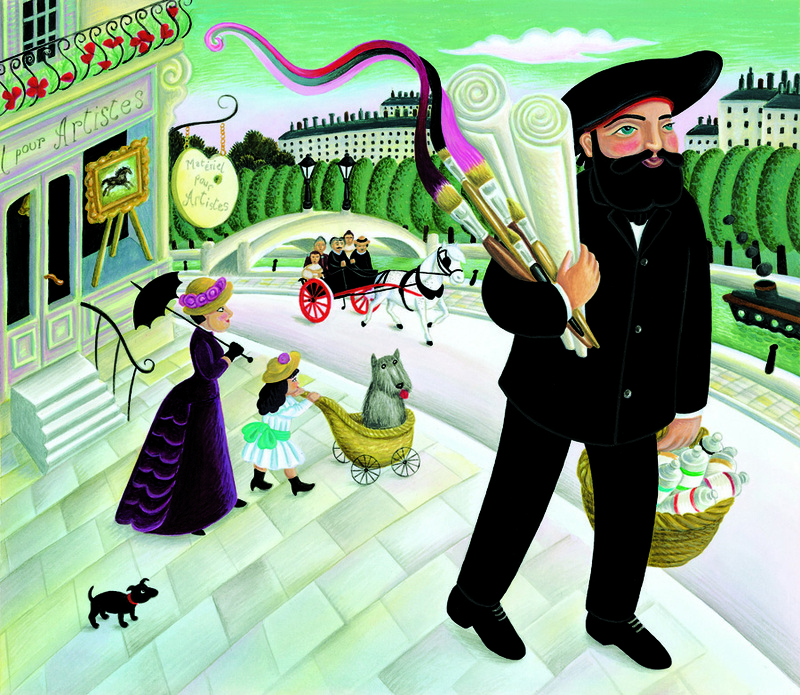 I had to be careful not to directly depict any of Leonoora’s imagery, but instead to convey the spirit of her work as Leonora’s work is still under copyright, unlike Henri Rousseau’s. That was a very interesting challenge for me and pushed me into finding more interesting visual solutions along the way. 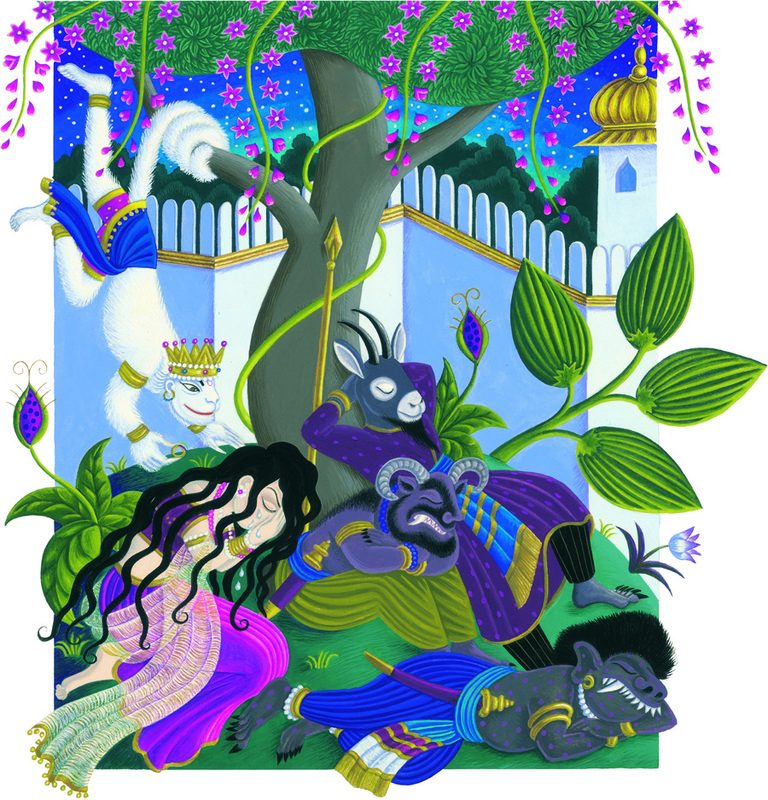 Would you like to write and illustrate a book? 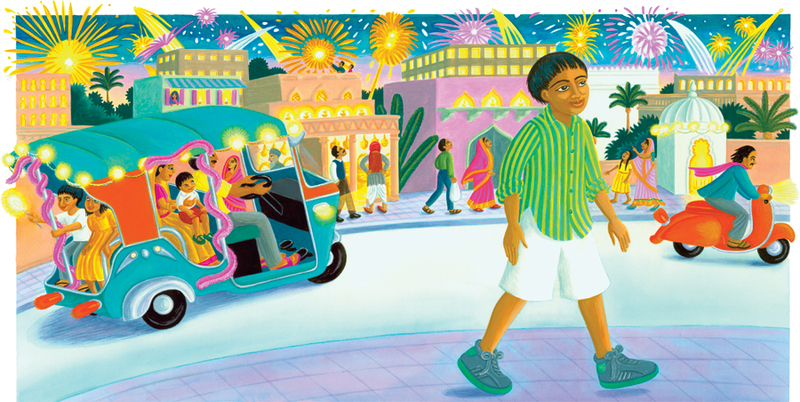 I have both illustrated and written a number of books that have been published. 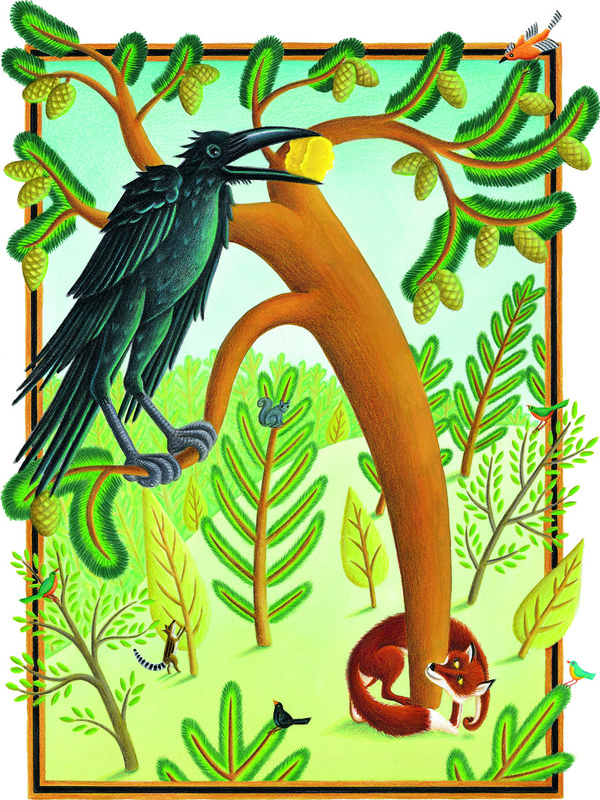 Two of my books The Stolen Sun and Prince of the Birds were published in the UK by Frances Lincoln, and went into co-editions in various countries – US, Denmark, Korea, Spain, Catalonia and Sweden. I now have the rights back and am hoping to find new publishers for both titles. I enjoyed the combined activity of both writing and illustrating, but also really love responding to other writer’s voices. 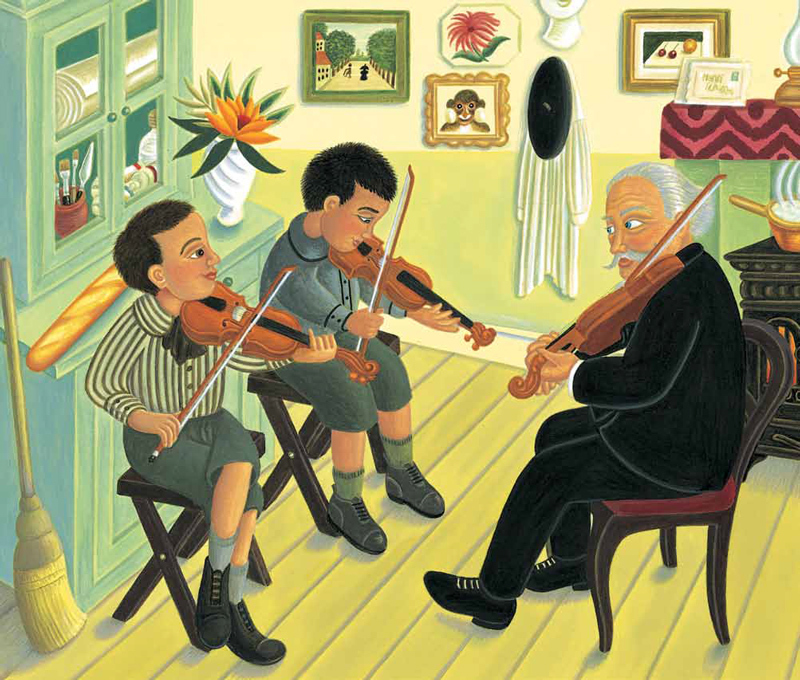 How did P J Library find you to illustrate Never Too Quite? 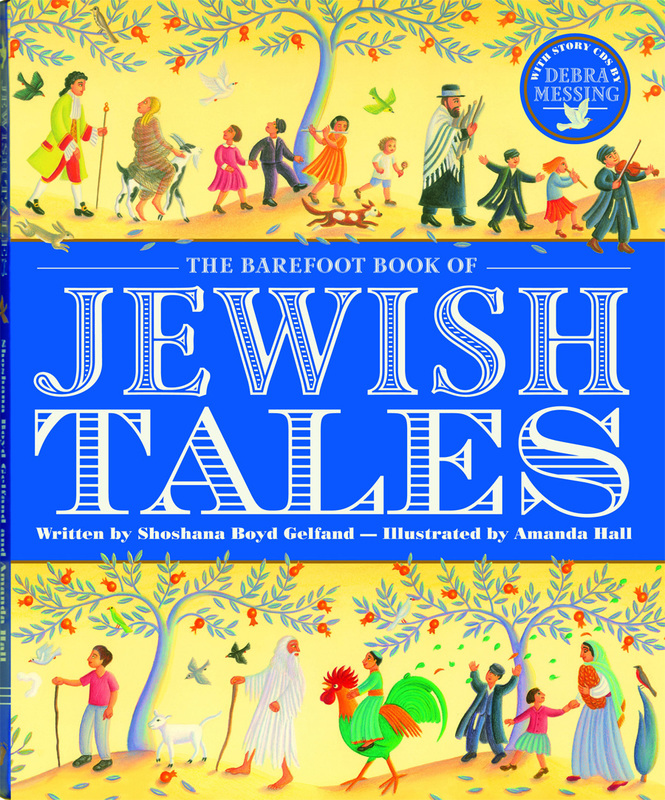 I illustrated The Barefoot Book of Jewish Tales written by Shoshana Boyd Gelfand. The book launch took place at JW3 in London where Shoshana and I shared the stage. While there, I was introduced to Harold Grinspoon of PJ Library, part of the Harold Grinspoon Foundation. 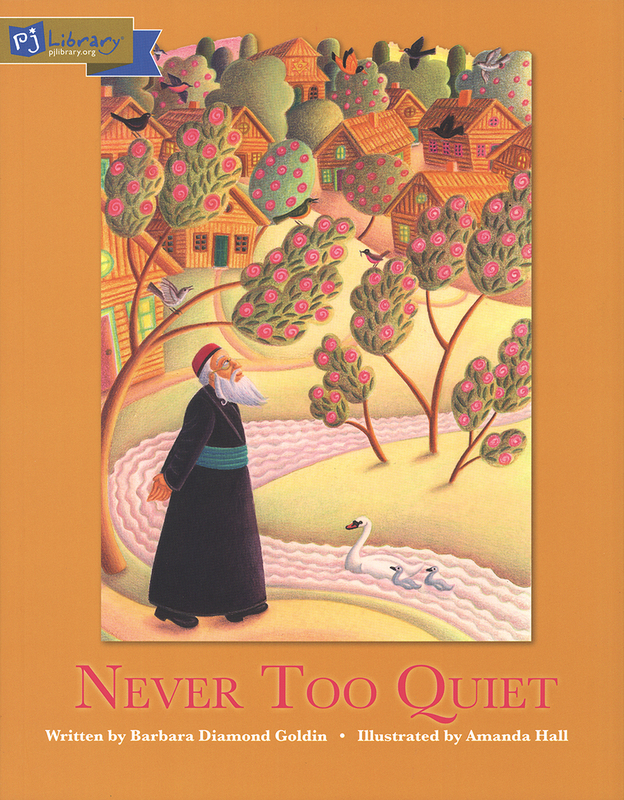 PJ Library got in contact with me a little while later to invite me to illustrate Never too Quiet written by Barbara Diamond Goldin. 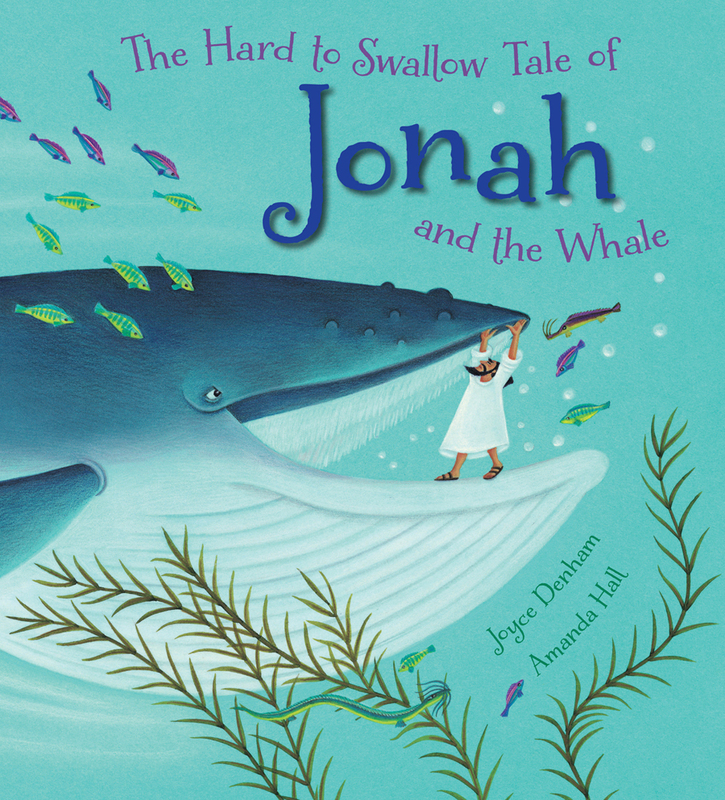 Have you collaborated with any other children’s writers? 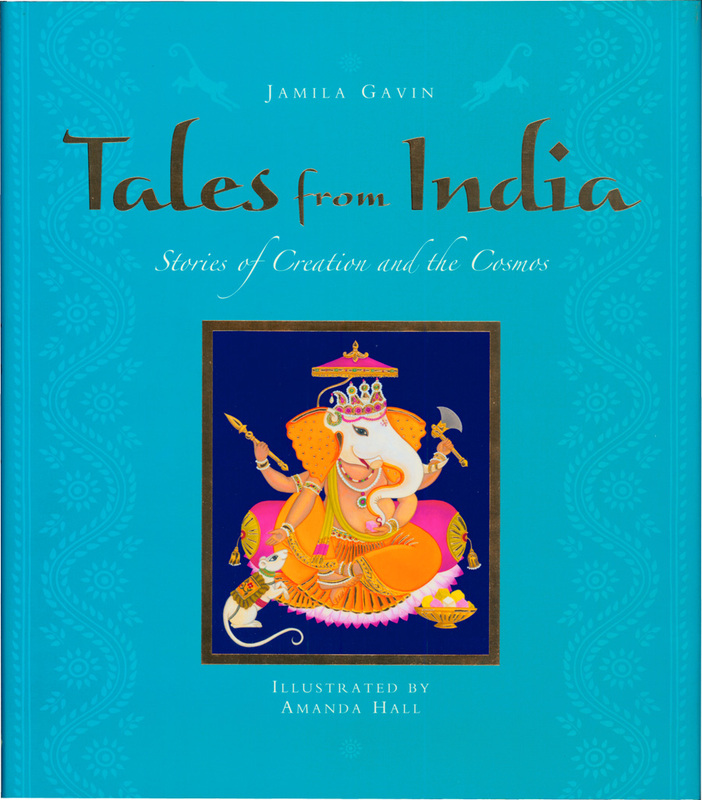 The other author I have worked with closely is Jamila Gavin http://www.jamilagavin.co.uk who is a renowned writer for books, theatre, TV and radio. 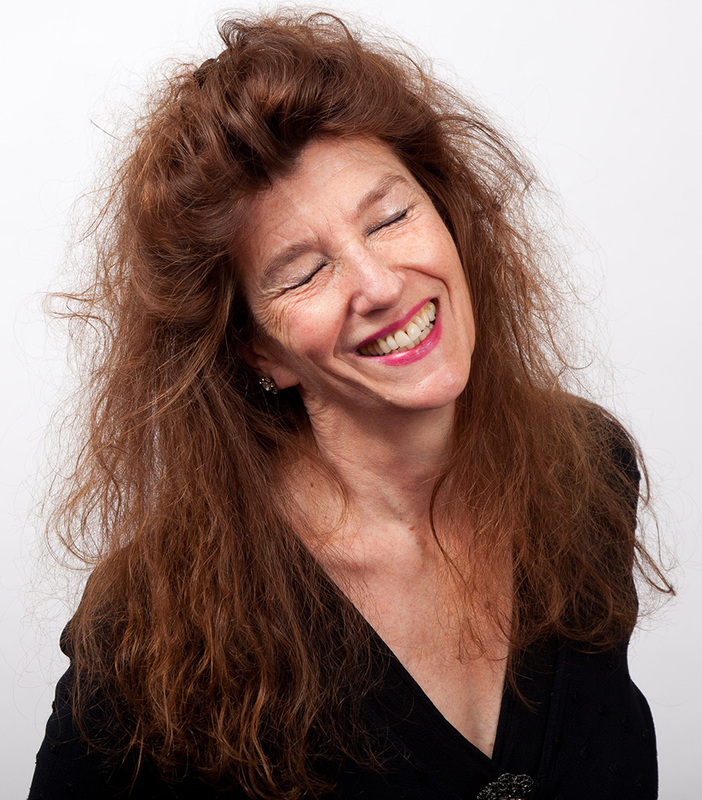 Jamila is based in the UK and is particularly well known for her novel / stage play Coram Boy. 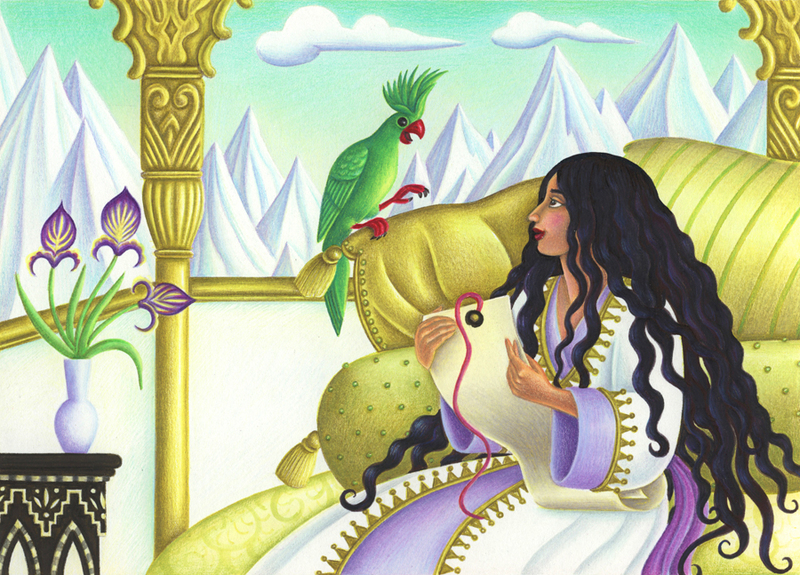 I had the honour of collaborating with Jamila in 2010. 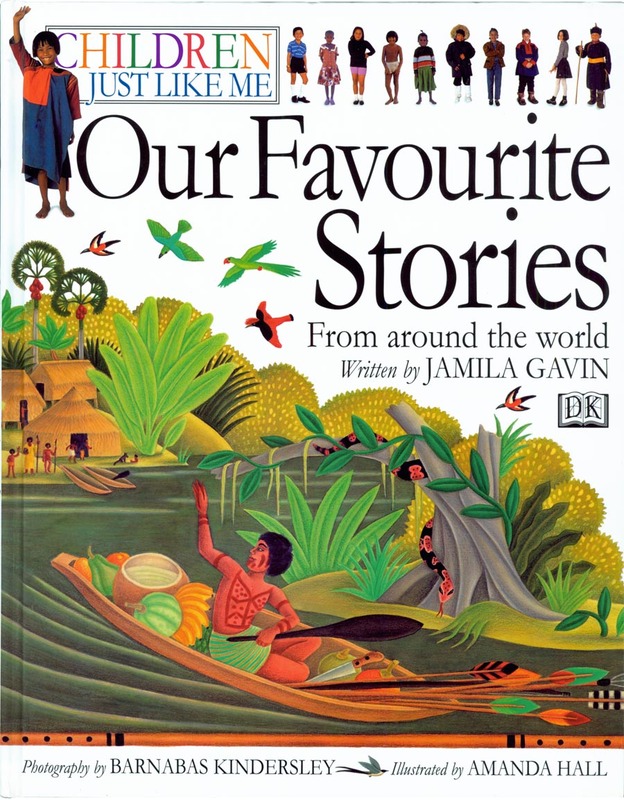 I had previously illustrated Jamila’s book Children Just Like Me: Our Favourite Stories for DK in 1997, although we didn’t meet at that time. 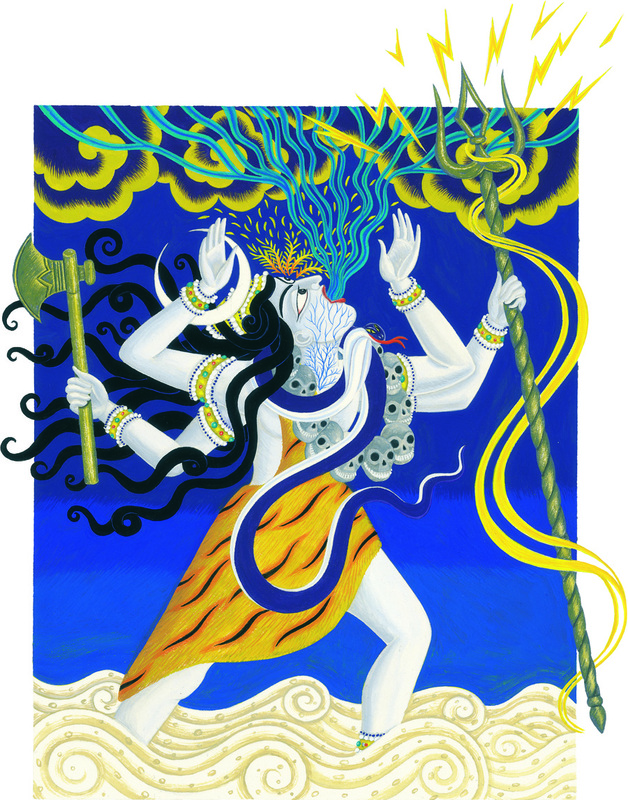 In 2010 we initially submitted an idea for a single story about Hanuman. 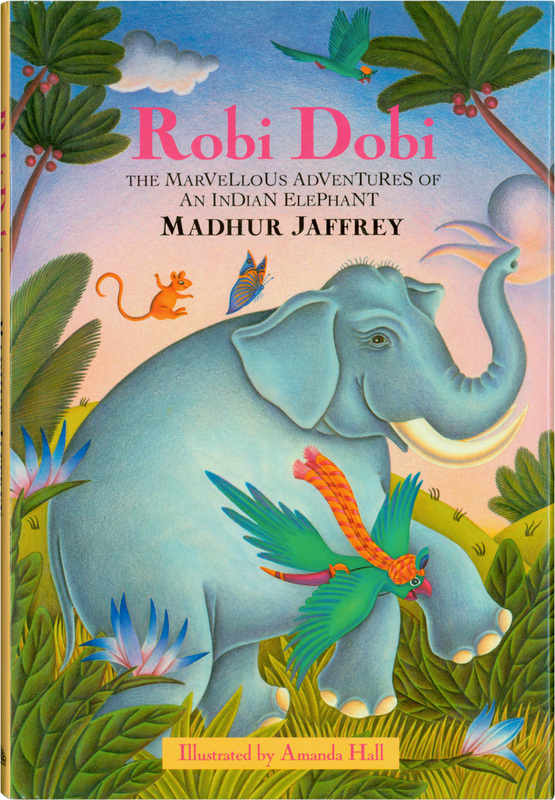 The idea was picked up by Templar Publishing who contracted us to create the book as a beautifully produced collection of Hindu stories called Tales from India. 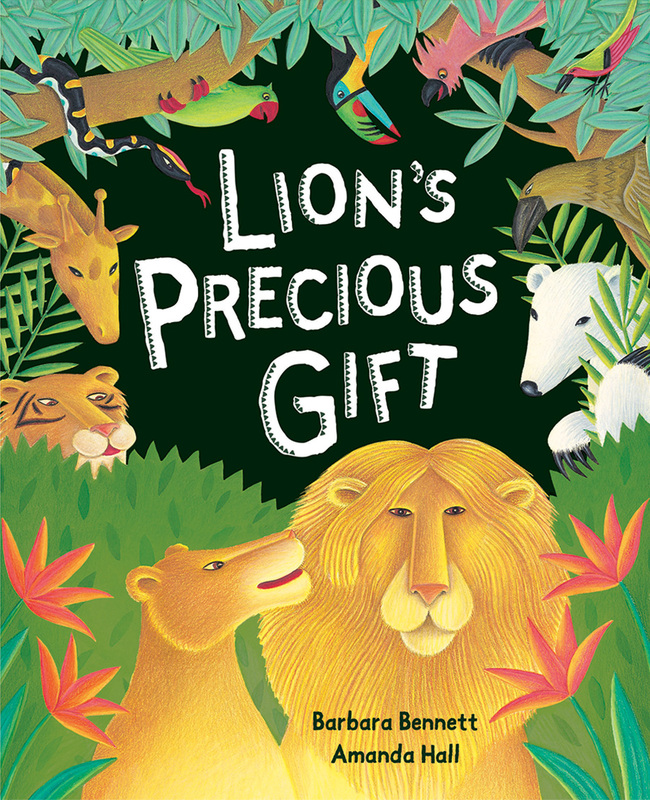 I’m now on my eighteenth picture book and have also illustrated thirteen story collections for children, plus poetry, cookery and pop-up books etc. I see that you have won many awards. Do you have one that your most proud of receiving? Well, I’m proud of all awards, naturally! 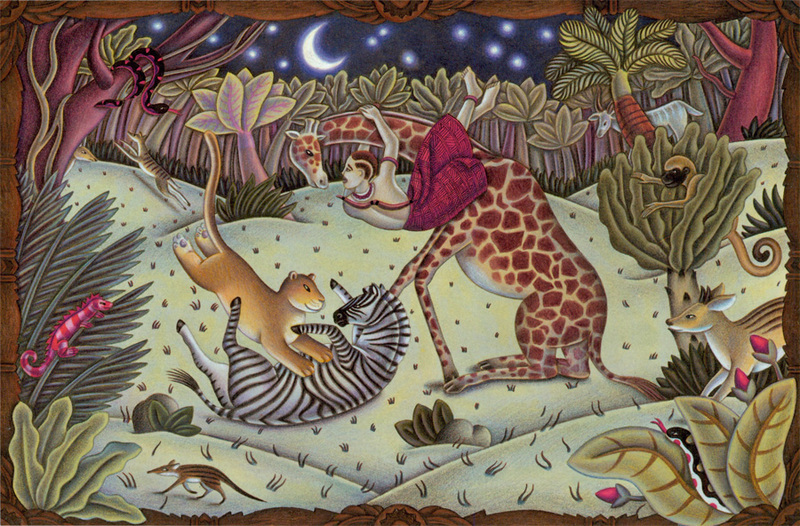 I was absolutely delighted to be ‘Selected by Jury for The Original Art 2012’ at The Society of Illustrators in New York for my illustrations for Rousseau. How did you get to have a permanent exhibit in the Chris Beetles Gallery www.chrisbeetles.com St James’s, London? Have you done any book covers for novels? 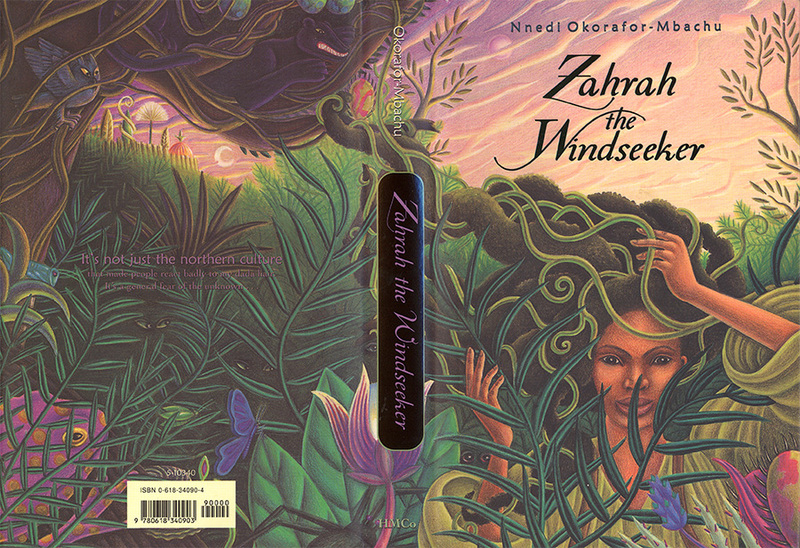 Yes, I had a phase of doing a number of book jackets, I think about ten. It’s not something I have done or looked to do again for a number of years. 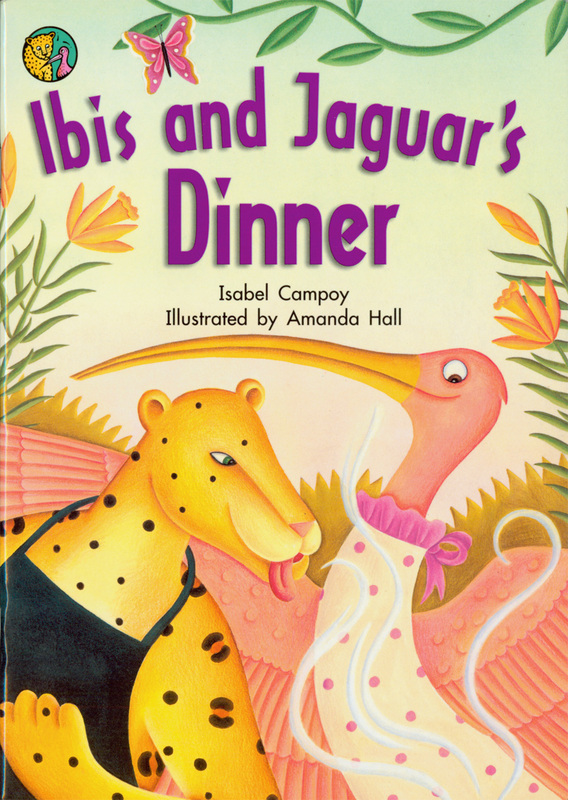 I also think the book jacket market is very different now and less illustration is used. I personally prefer having a whole book to illustrate where I can develop my ideas as opposed to one-off images. Never say never, and I do get a lot of approaches. In fact, I have formulated a fairly comprehensive list of questions for just those sorts of enquiries, covering professional questions that some self-publishing writers might not have considered. As yet, there hasn’t been a good enough fit to persuade me to proceed. While I have enjoyed some wonderful collaborations, I don’t really want to be ‘employed’ by a writer, as I see myself as an equal. 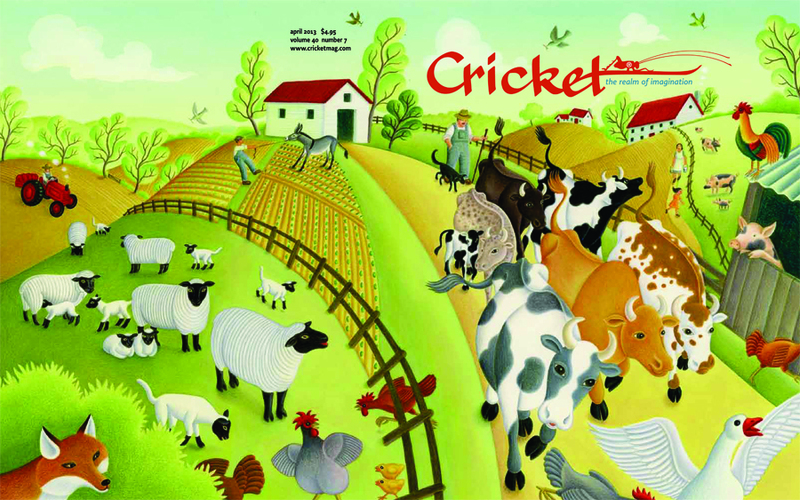 Cricket Magazine, Spider Magazine, Ladybug Magazine, Ladybug Bookshelf story app., High Five Magazine and BBC Enterprises. I can’t say I have, but you never know, although I think I like to use words as my starting point. 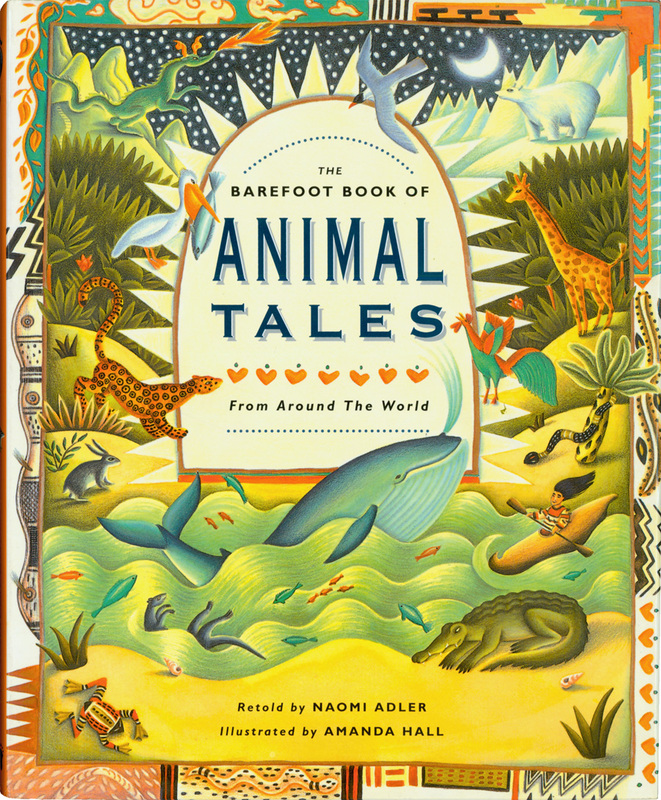 In terms of longevity, it’s The Barefoot Book of Animal Tales written by Naomi Adler, it’s been continuously in print since 1996 in various editions, including co-editions in nine countries. 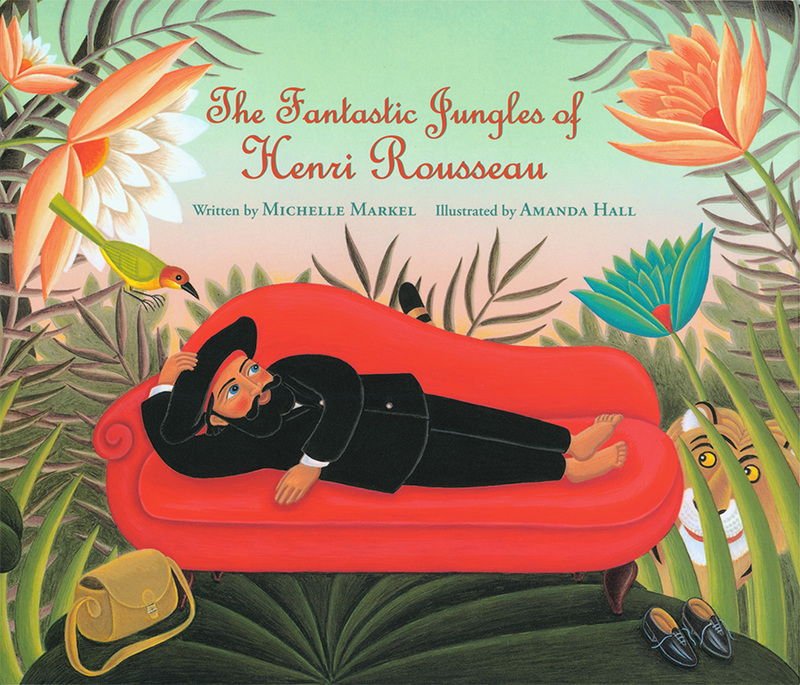 In terms of awards it’s The Fantastic Jungles of Henri Rousseau written by Michelle Markel. 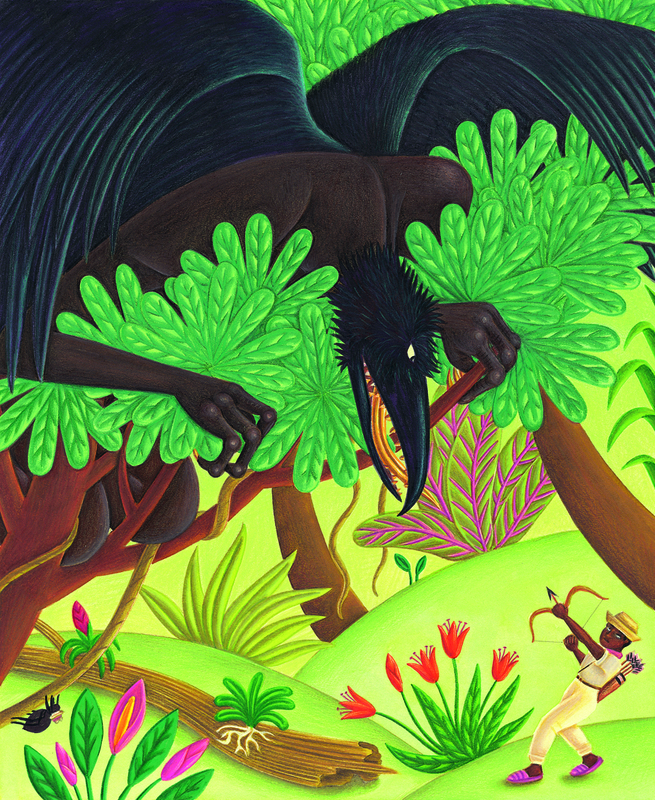 With Rousseau and Out of This World, they have both been books where I have been able to stretch my wings and take more creative risks than with other books, but it’s so hard to say, as different books have given me different kinds of pleasure while I have worked on them. I always begin with pencil line, then build up the colour with watercolour ink washes. Once the paint is dry, I clean away the pencil lines and start to work in with (it always used to be) pencil crayon – CARAN d´ACHE. Now I may also use either gouache or acrylic paints, or anything else that feels appropriate. I would love to try working in oils but have been nervous about the drying time involved. Yes, I had a real crisis several years ago when Frisk stopped making CS10 board, which I used for all my pictures for many years. CS10 was a line board and not designed for watercolour, but I used the method above on CS10 and the watercolour did something interesting to the surface, I felt it was something I had discovered for myself. CS10 also had the advantage of being scrapeable with a scalpel, so you could add fine white lines to the finished surface. After trying various other types of line boards (which were horrible to use), I reverted to using Fabriano Hot-Pressed Watercolour paper, which I had used in the 1980s. I’m now very used to that and have branched out to include pastel pencils and all sorts of combinations, whatever is effective and suits the project best. Well, all day, every day during the week most of the time – it’s my full-time job, my career, my life. Certainly, I immerse myself in the subject I am working on both visually and mentally, as much as possible. That feeds my imagination, then the images start to form in my head and onto paper. Undeniably, in all sorts of ways. Say if I want to know what someone scraping a seal skin in Alaska looks like, their hands, the tools they use, I can Google it up. You’ve got to be careful of course and do proper research. I also love the whole website thing, as now my work can be seen all over the world. That is a lot easier than lugging a heavy folio around London. 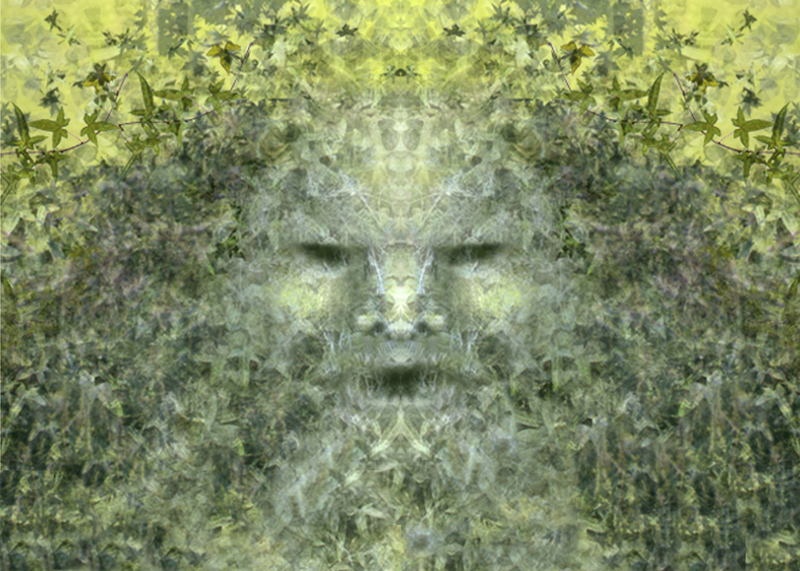 A few years ago, I had a bit of time when I experimented with Photoshop, not with any commission in mind. I fell in love with the wonders of the Clone Tool in particular and realised that I could draw by using photos of leaves and other textures. It was like magic. After the novelty wore off, I calmed down and went back to working mainly by hand. It has made me very confident though with some of what’s possible in Photoshop and that can be useful. Sometimes, I’ll originate by hand, then import and develop an image in Photoshop. Rather than saving time though – because you can magnify and perfect, especially if you are a perfectionist by nature – it’s like working at bill-board scale! Yes I do and I have, but again, I don’t originate with it, just clean up detail, so it’s really useful. My brain doesn’t seem to like having my hand move but have the image appear on screen. I came to it late, so maybe that’s why I react in that way. I haven’t used a device that you can actually draw on directly. I imagine that would feel more natural. 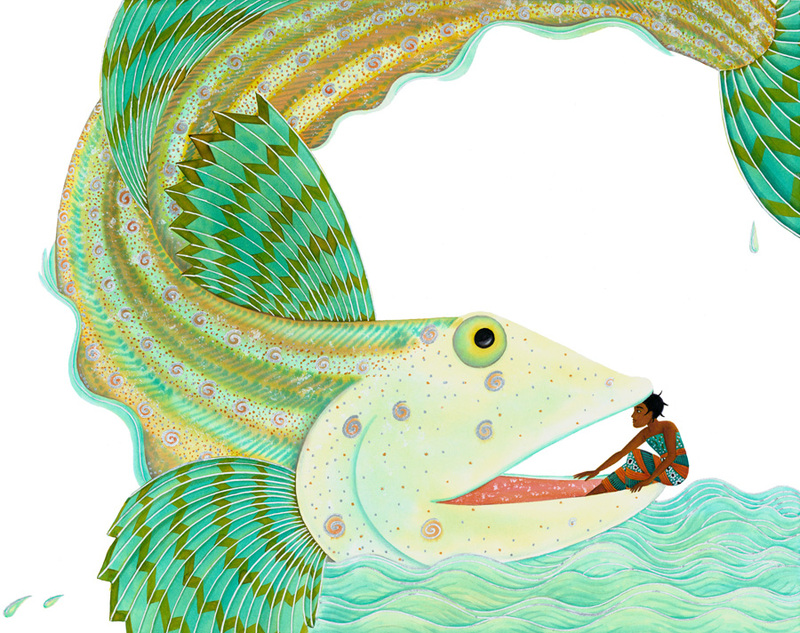 I am currently working with Wisdom Tales in the US on another fabulous picture book text written by co-collaborator Dawn Casey. It’s too early to promote, but there will be snow and there will be fur! I’ve mentioned the Fabriano paper. For years and years, I have used Dr PH Martin’s Radiant Concentrated Water Colors. 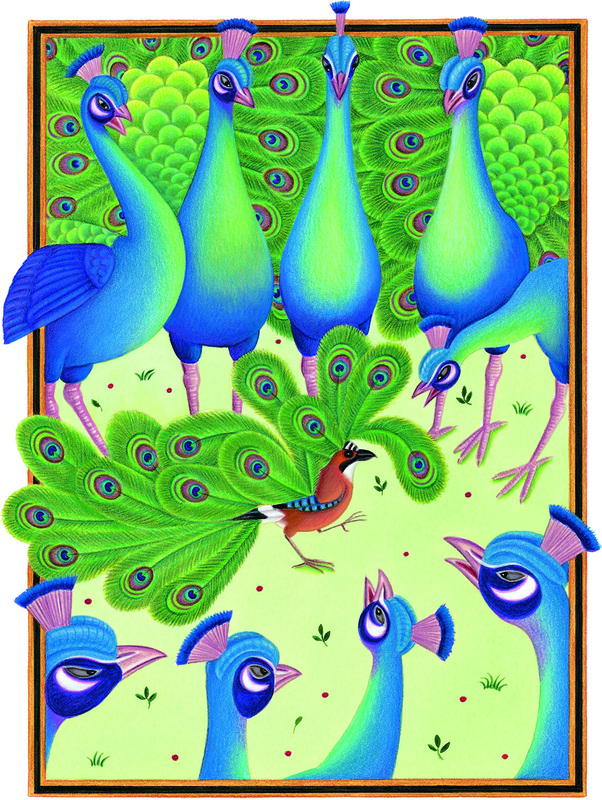 They are such pure, clean colours – mmm, lovely. CARAN dÁCHE and STABILO Pastel Pencils too – they are a recent discovery. I sometimes use household bleach (dilute) to lift paint colour from washes, rather than painting around things. 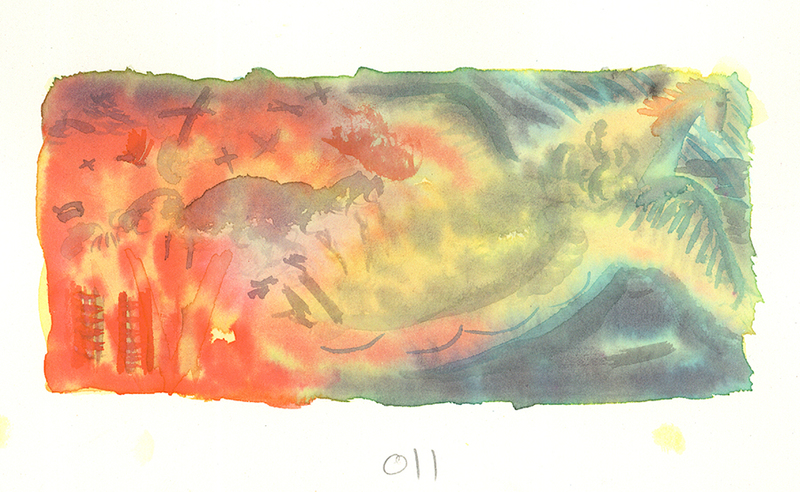 At art school I had a phase of using Quink Ink, it separated into interesting browns and blues when diluted with water and made lovely subtle colours. Do they still make Quink Ink, I wonder? Well, you’ve got to love doing it. You’ve got to be happy, by temperament, to sit, probably on your own, concentrating for countless hours, losing yourself in the process. You need to be tenacious, have your head screwed on about the business side of it, while being prepared to put your art before your wallet – certainly at first. Good luck! If you have a minute, please leave a comment for Amanda. I am sure she’d love to hear from you and I enjoy reading them, too. Swooning here! And just about speechless. 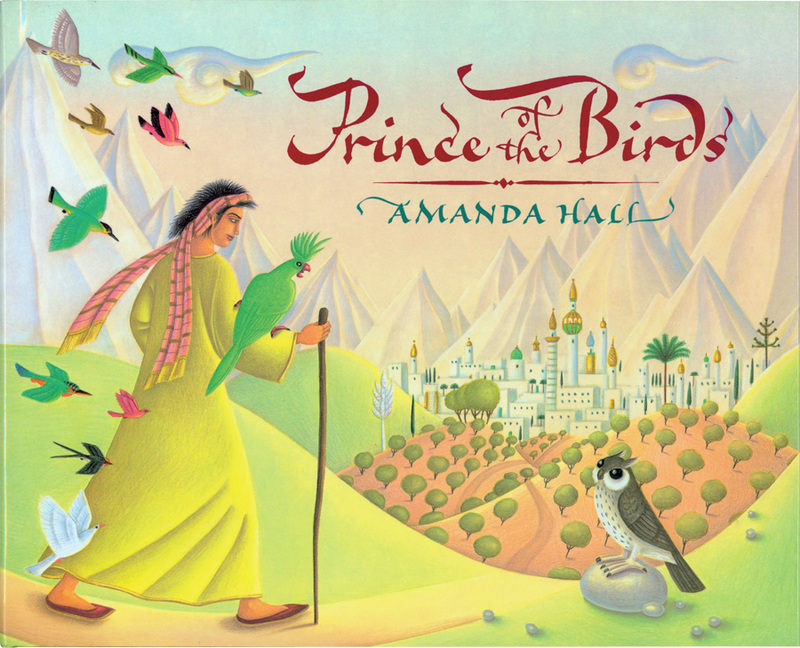 Amanda Hall, you’re brilliant! Thank you for walking us through your process too, always fascinating. 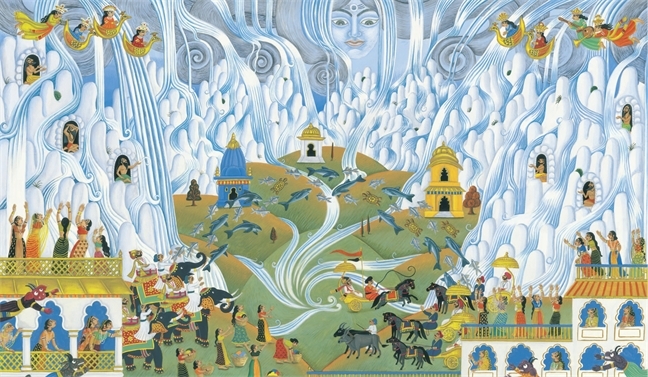 Gorgeous colors and emotions, all pulling me into the different illustrations! Lovely! Some a bit scary 🙂 but all strong and evocative. Thank you for sharing with us! 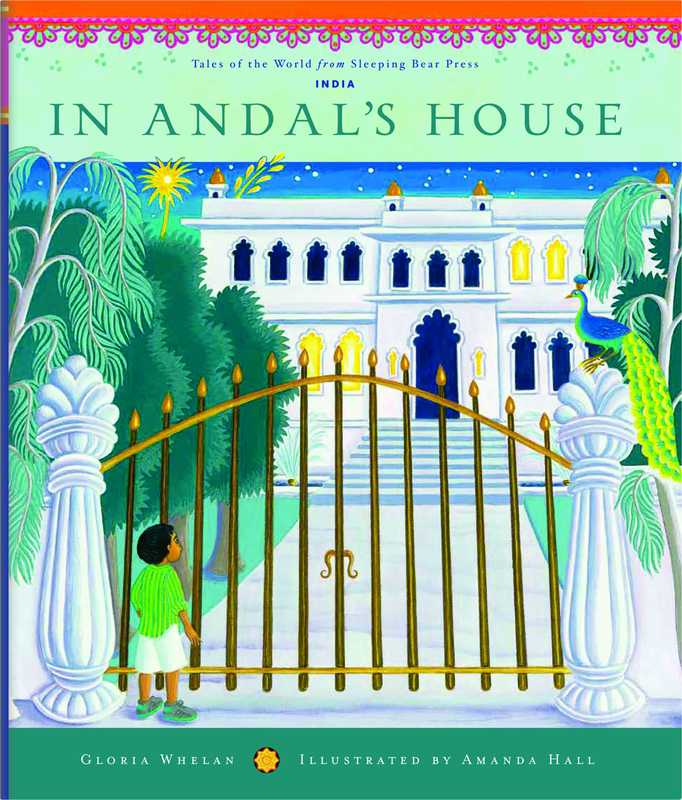 I am so enthralled by Amanda Hall’s work! It’s stunning, unique, and captivating. Thank you for sharing so much. 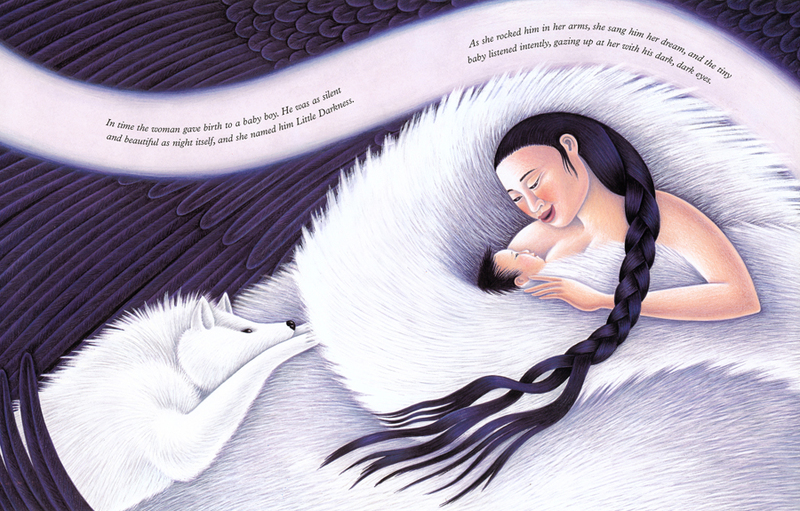 I’m adding her to my list of top favorite illustrators. 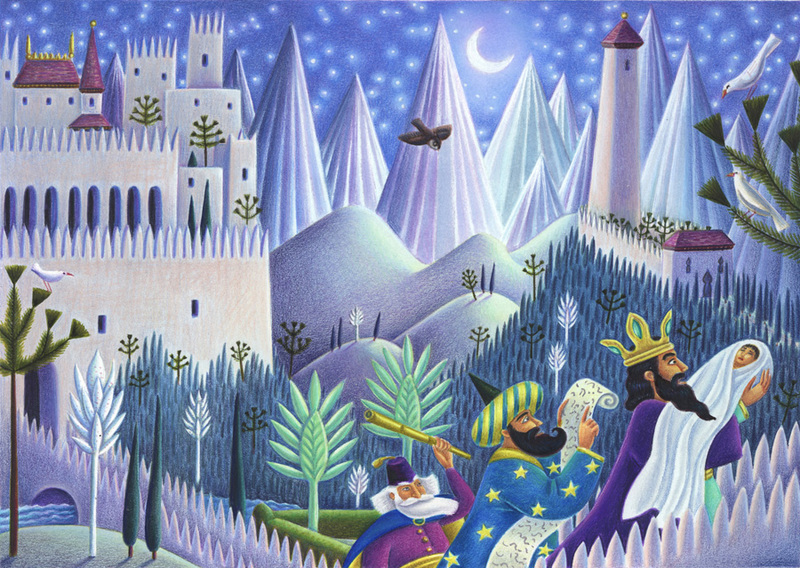 Amazing the details in each illustrations. And the bold colors and just the right shades. I’ll really admire your work. What a fantastic interview! I love Amanda’s gorgeous work and her lovely way of describing her process and her career. She’s a true superstar! Thank you both. 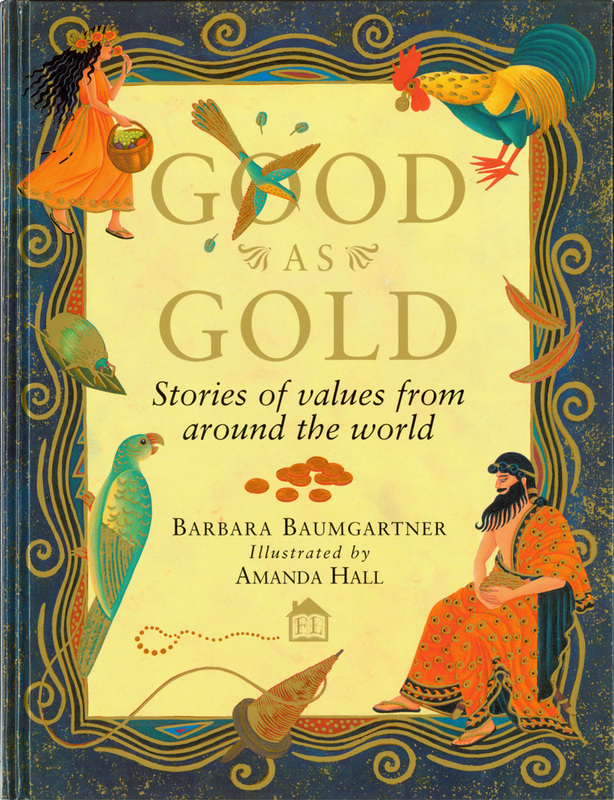 Really great to read this Amanda – and to see all the lovely illustrations, many of which I recognise from the books I’ve bought the grandchildren over the years. Thank you so much for making this available. Jean and John would be sooooo proud. I’m sure they are both up there smiling down on you.